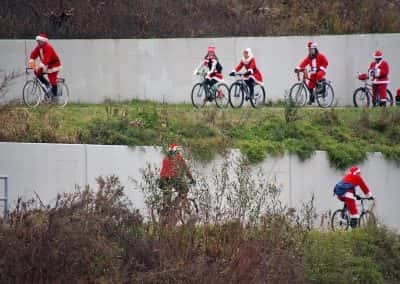 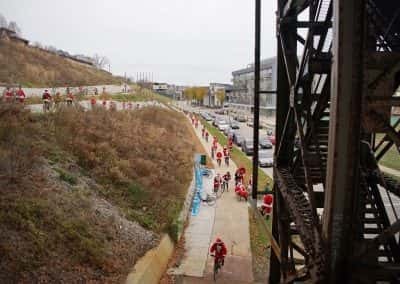 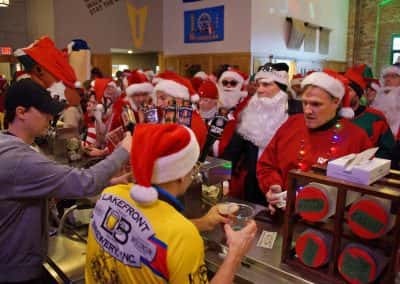 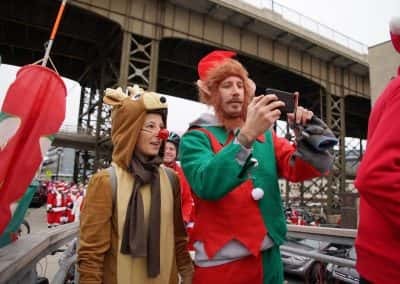 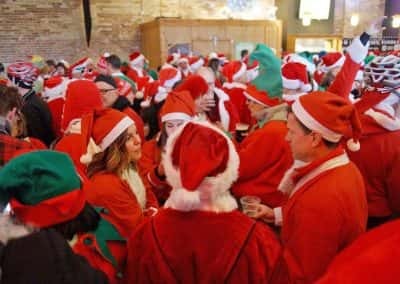 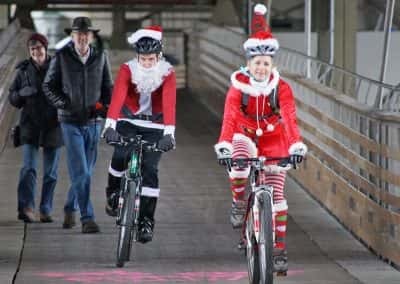 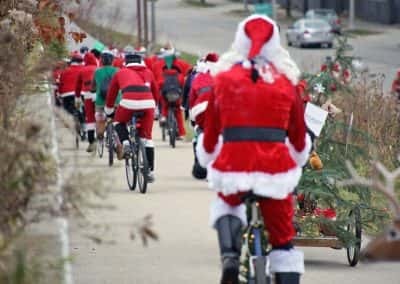 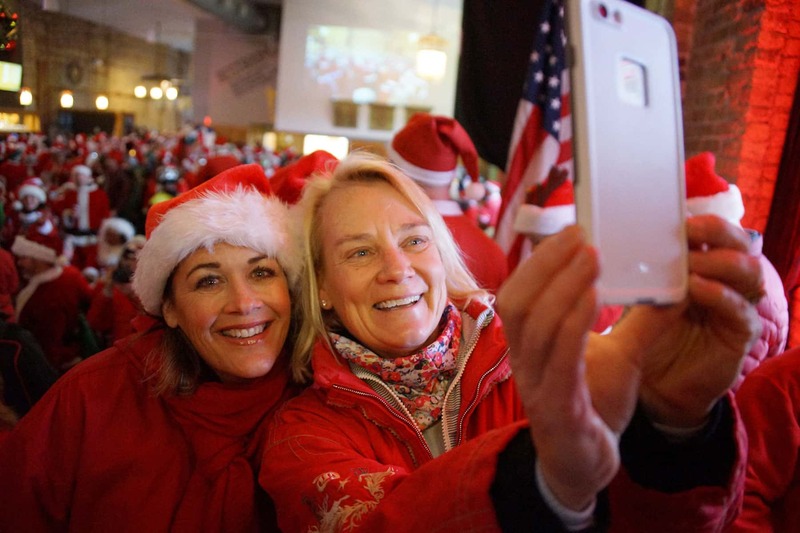 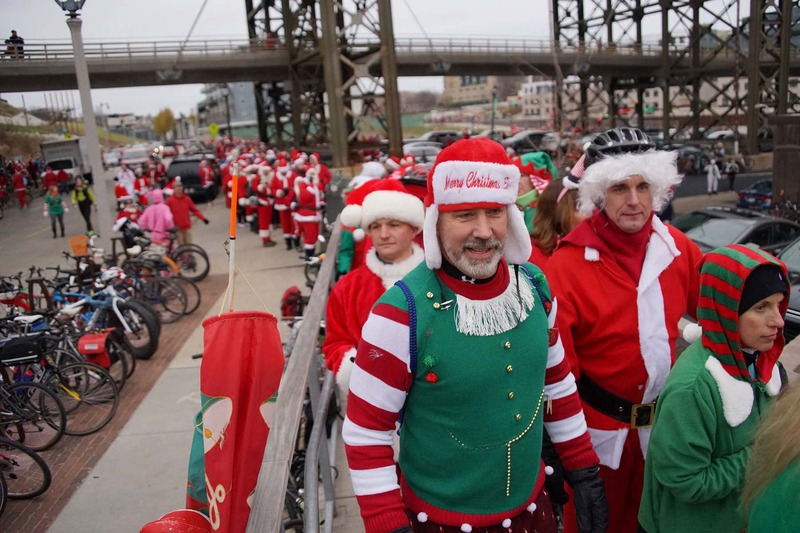 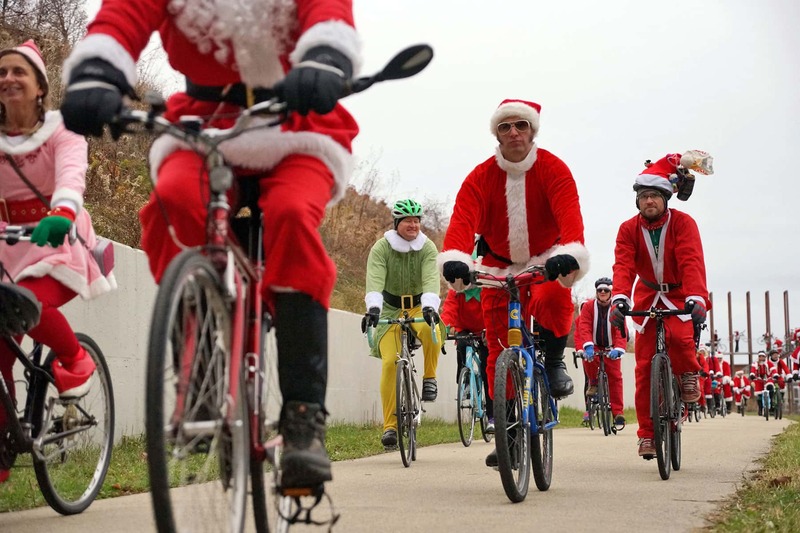 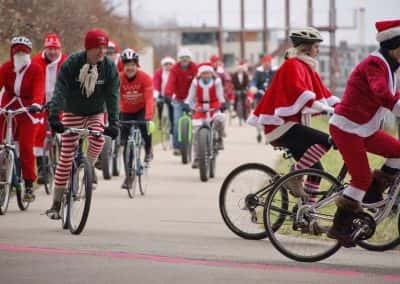 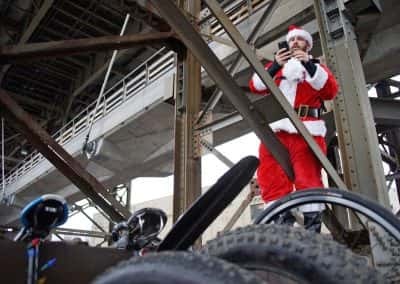 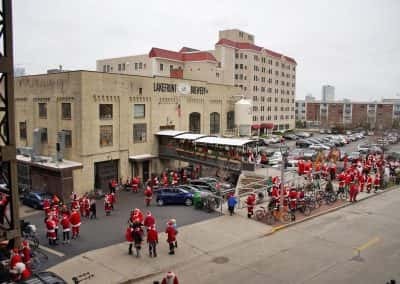 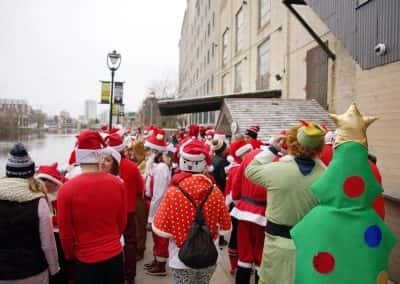 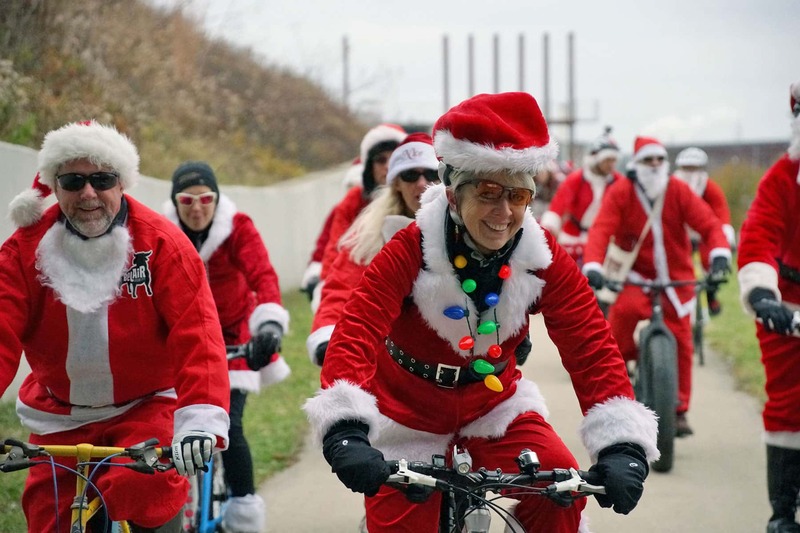 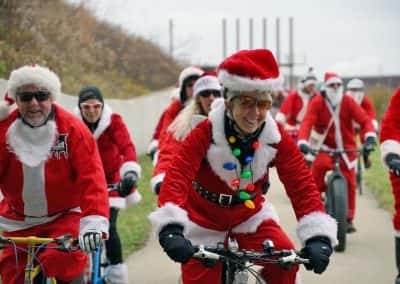 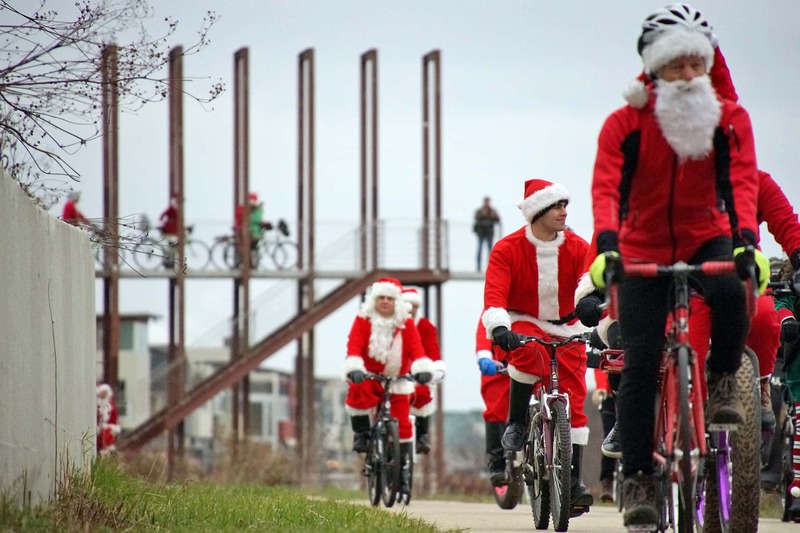 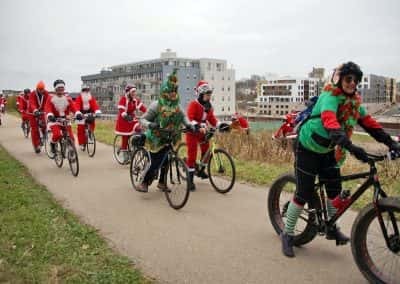 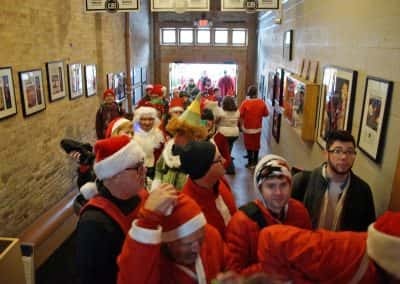 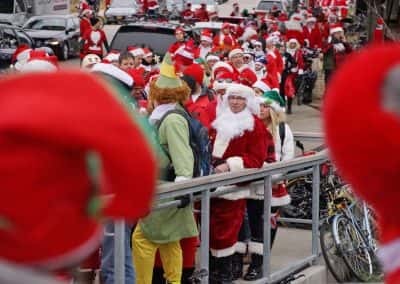 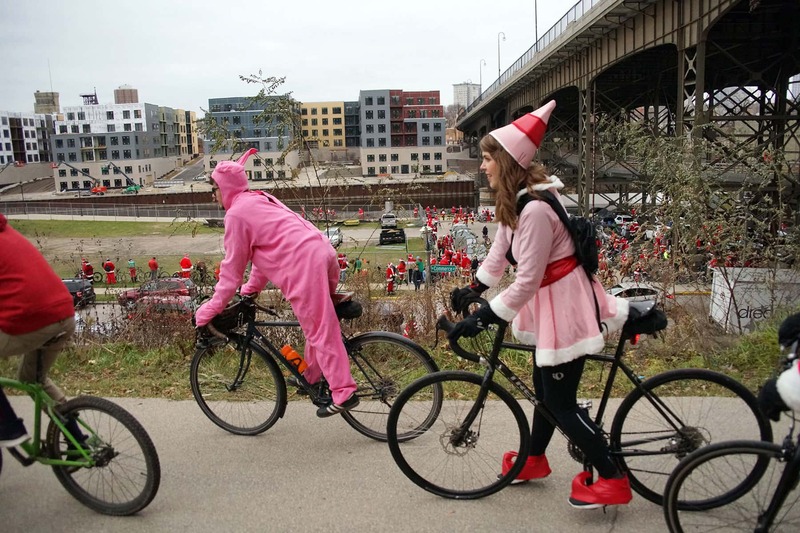 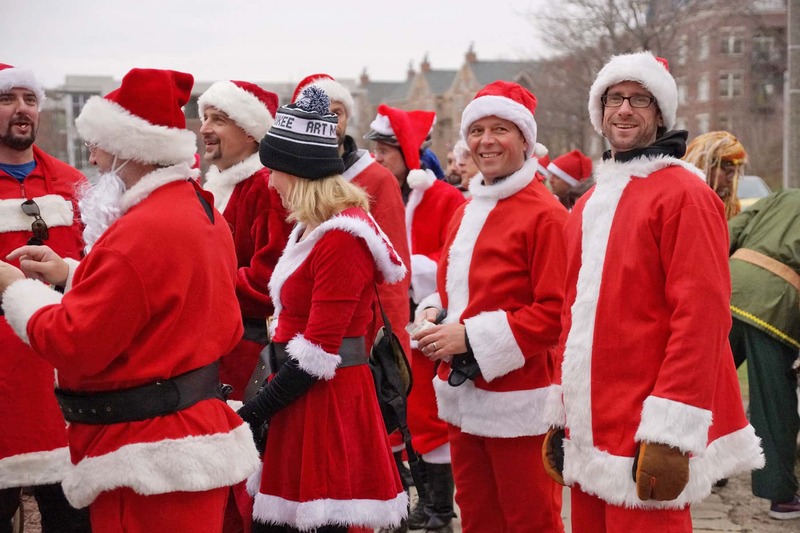 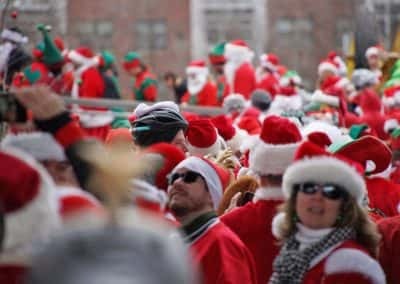 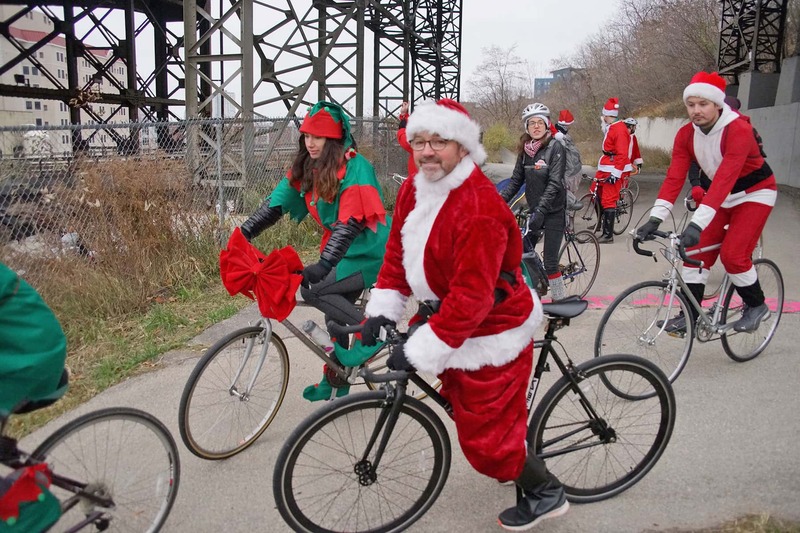 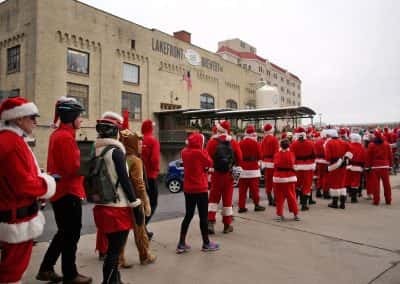 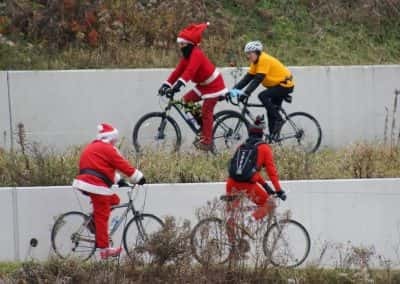 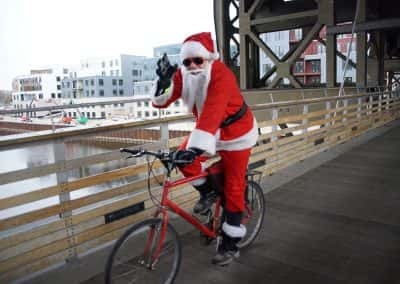 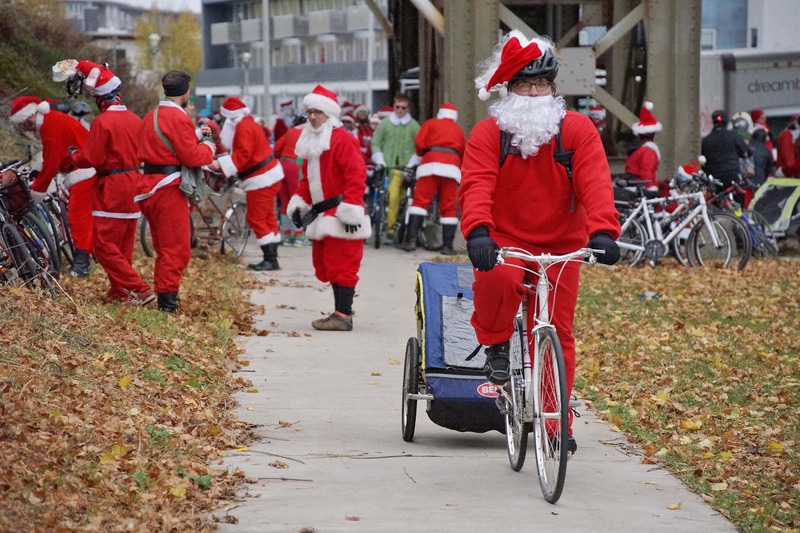 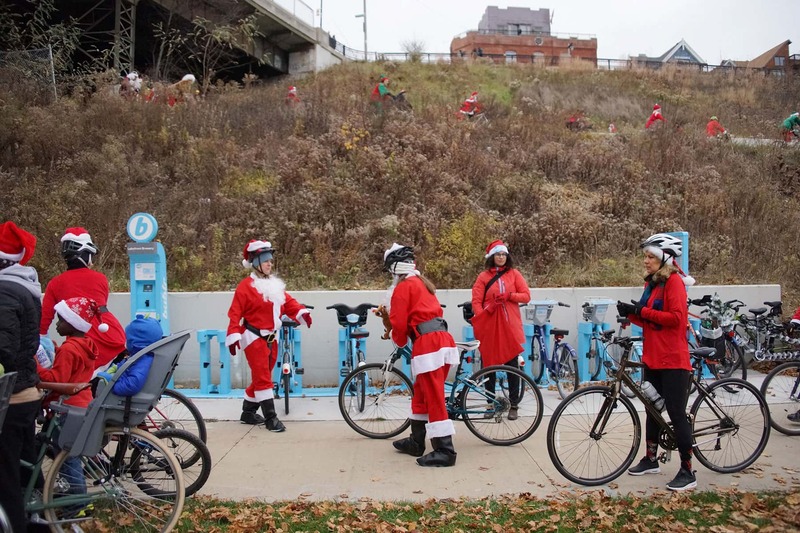 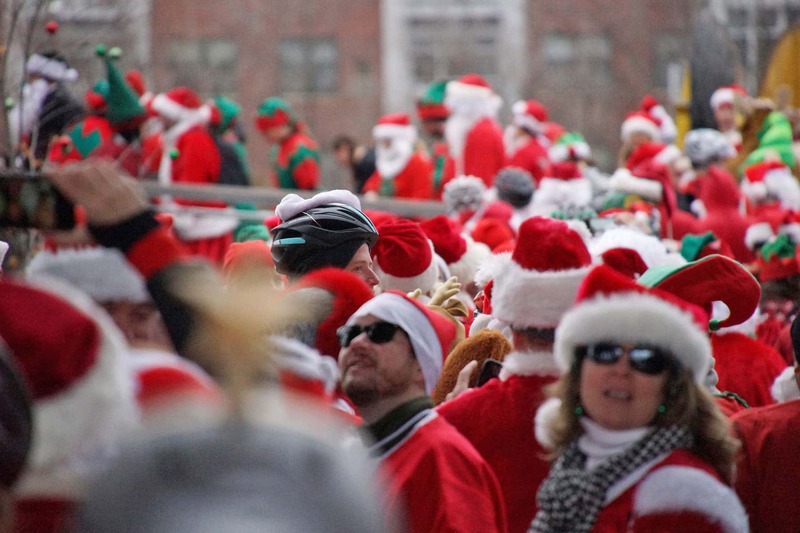 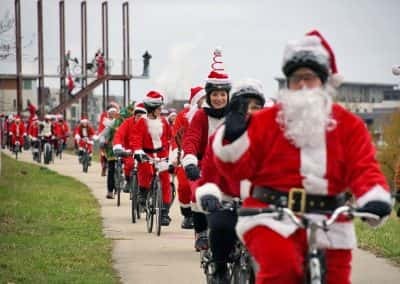 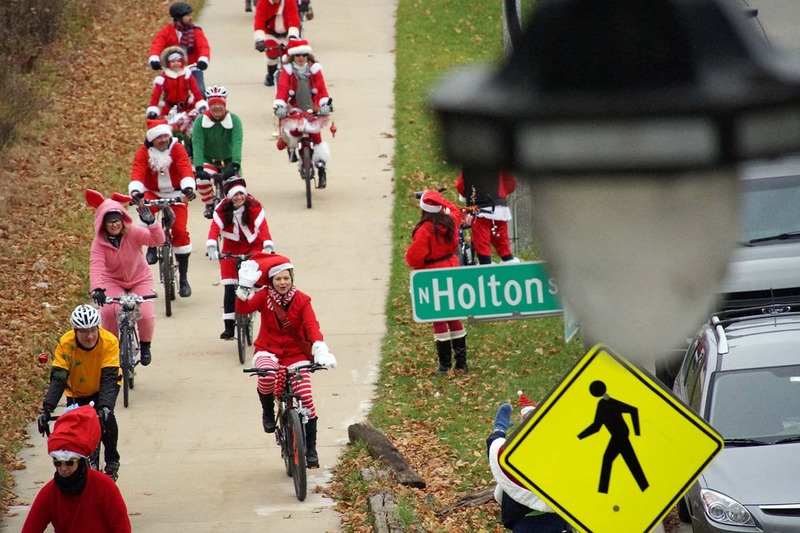 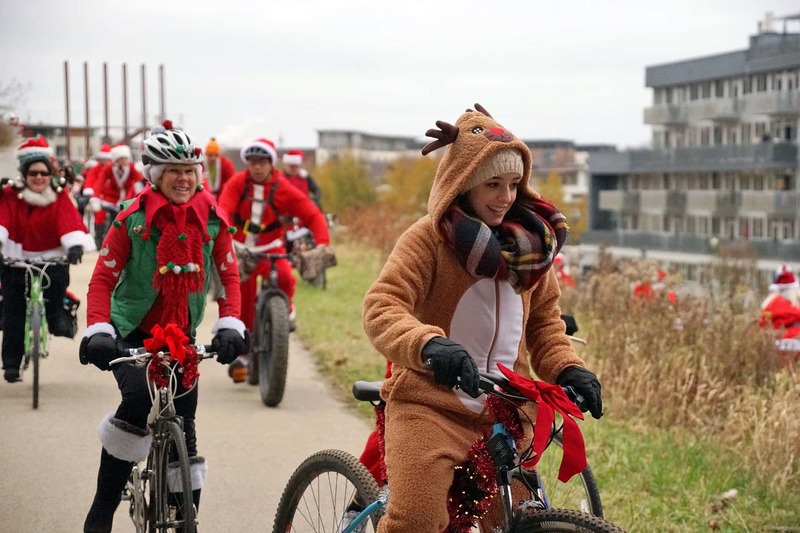 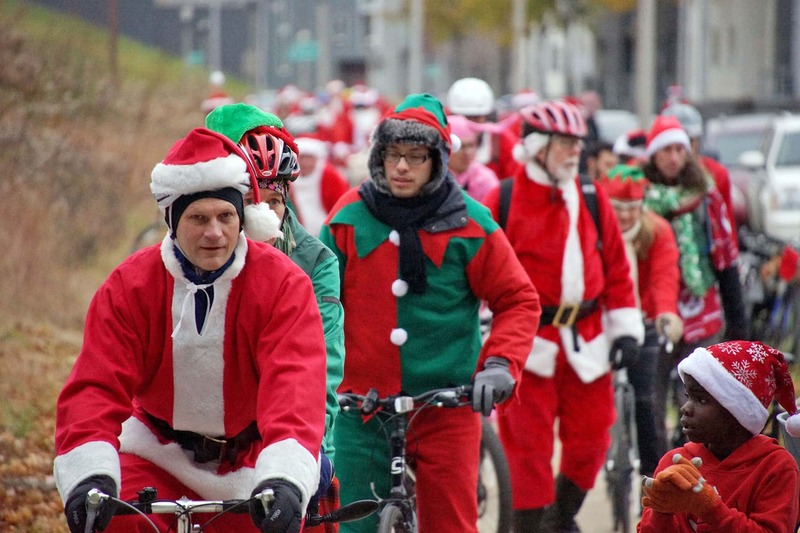 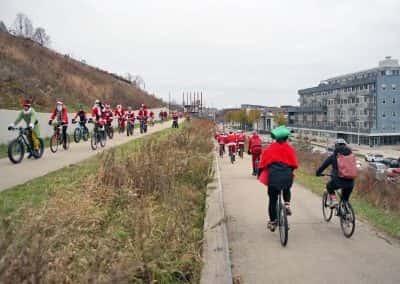 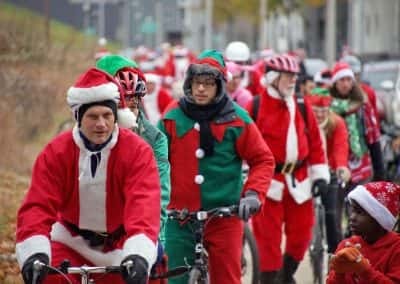 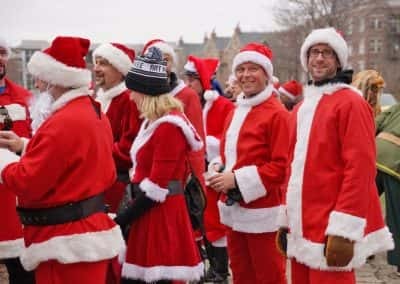 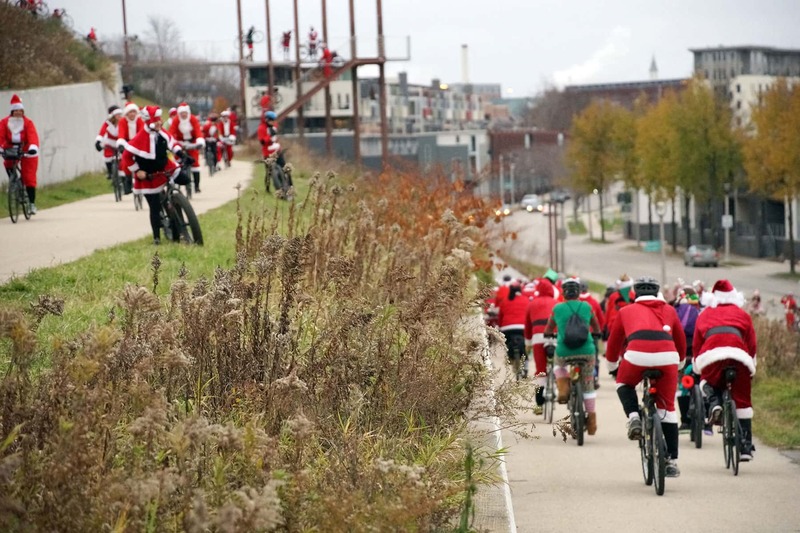 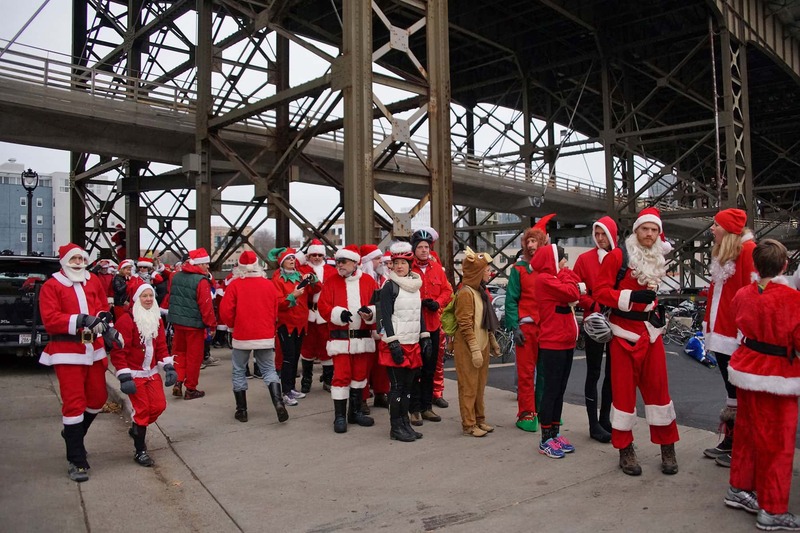 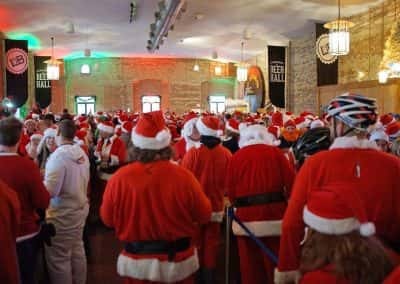 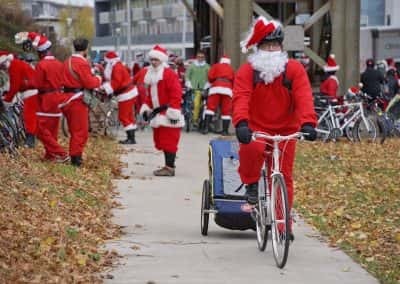 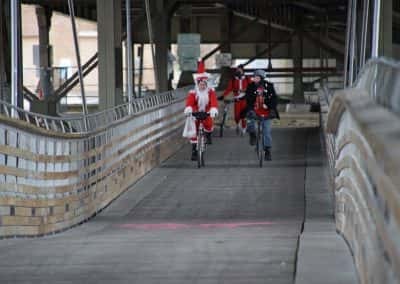 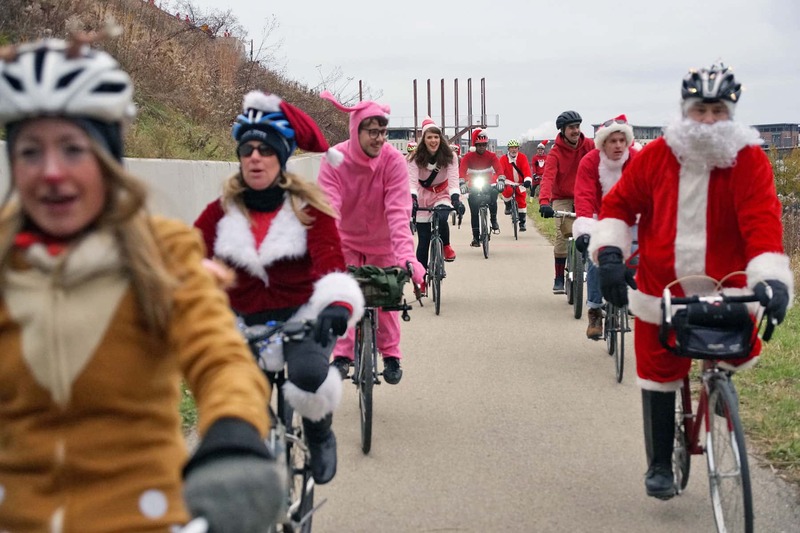 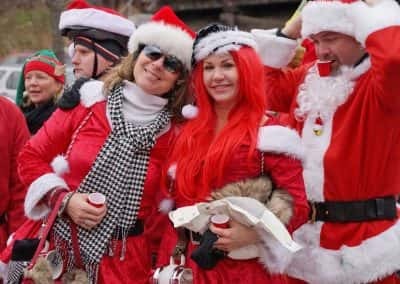 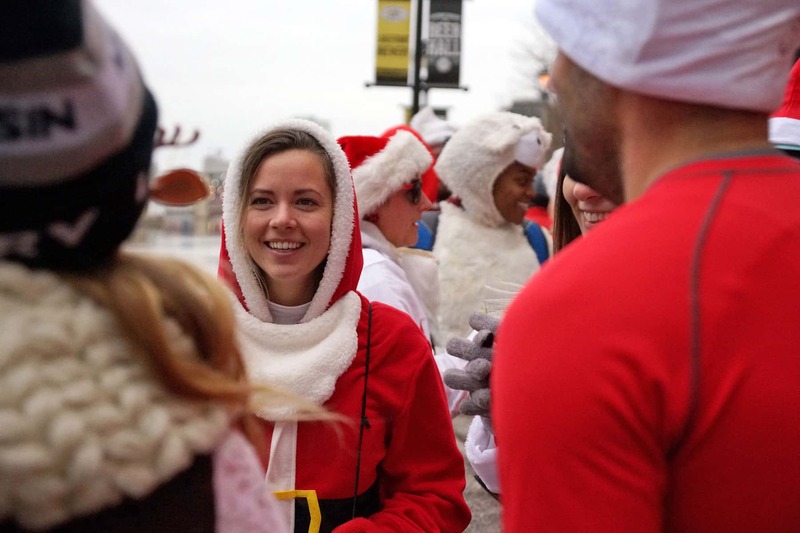 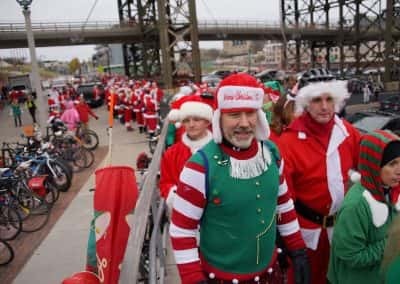 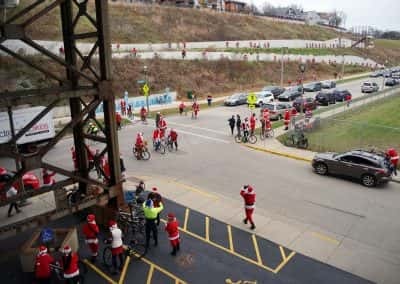 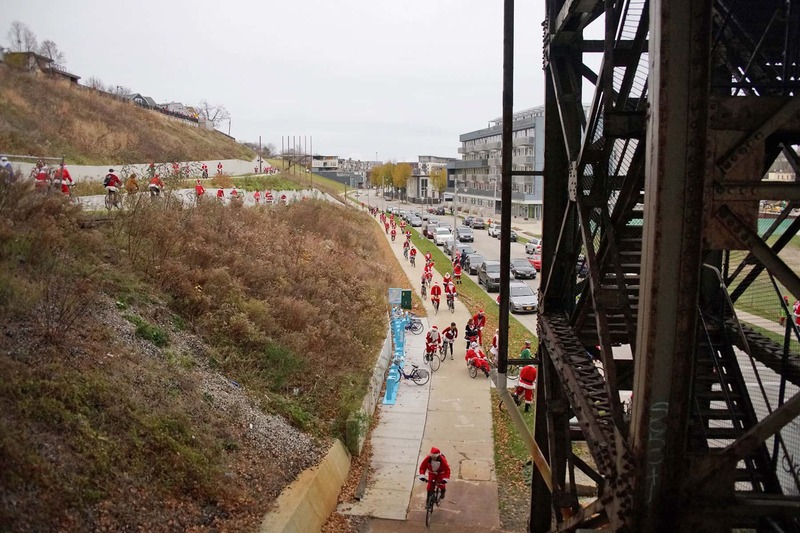 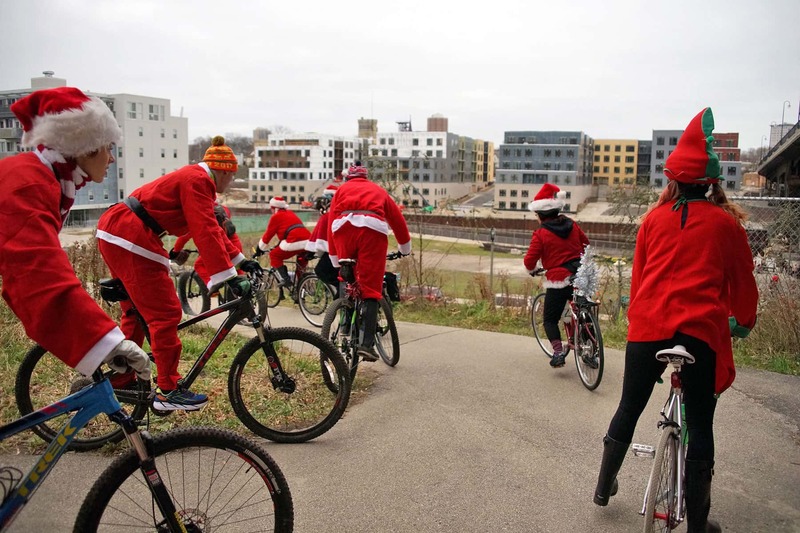 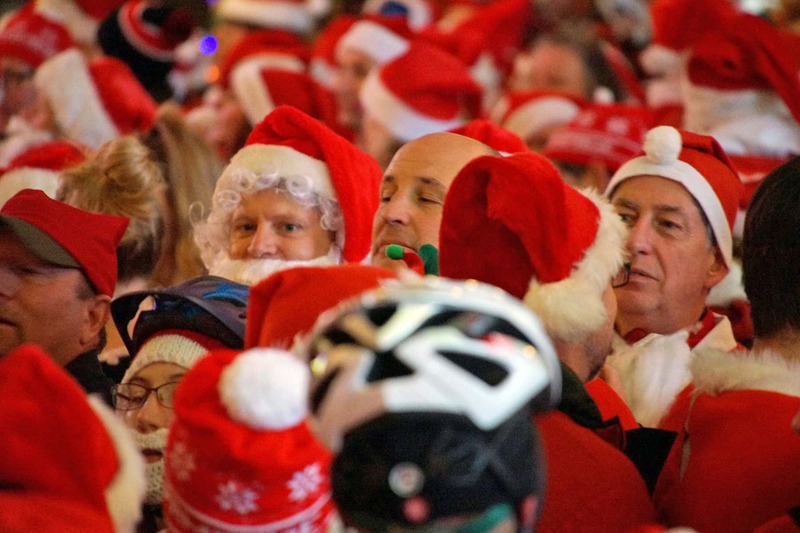 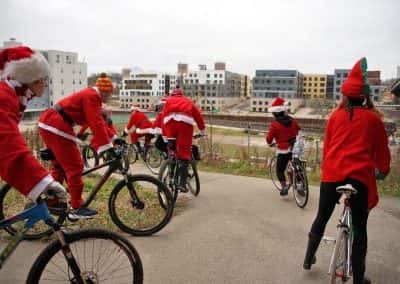 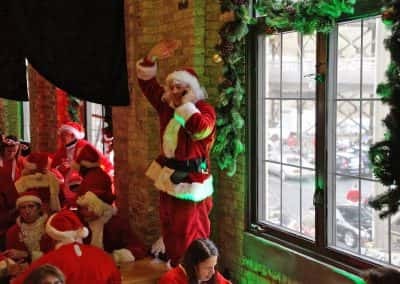 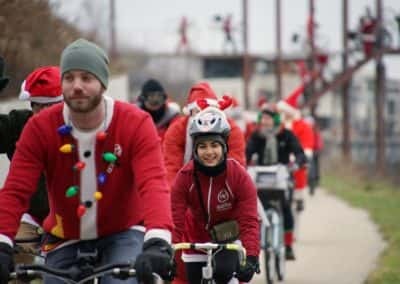 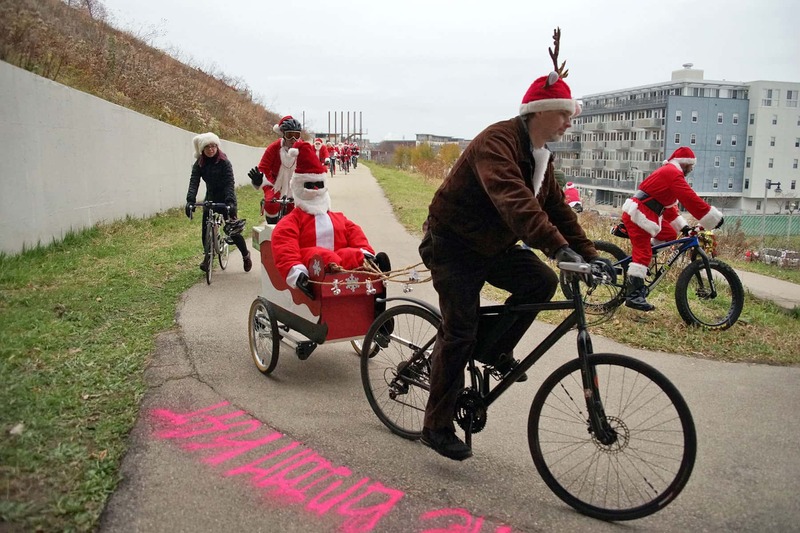 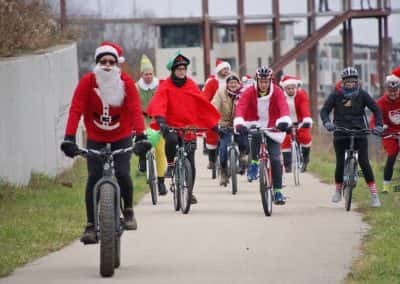 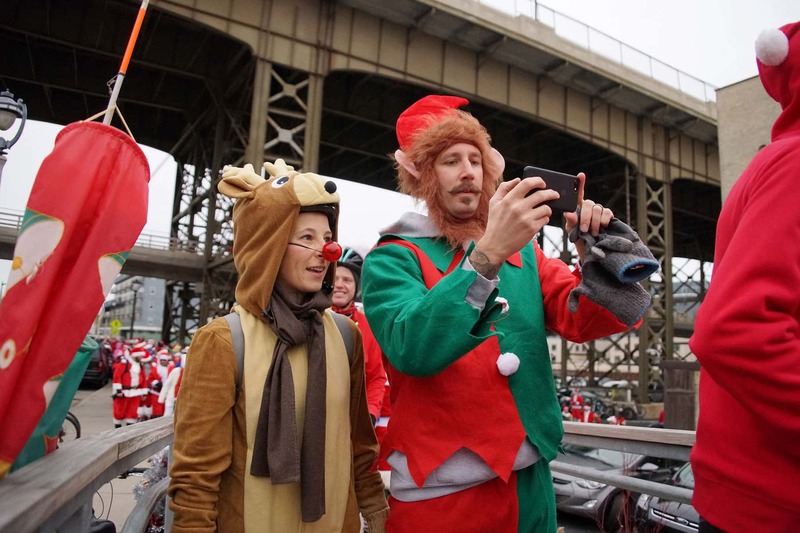 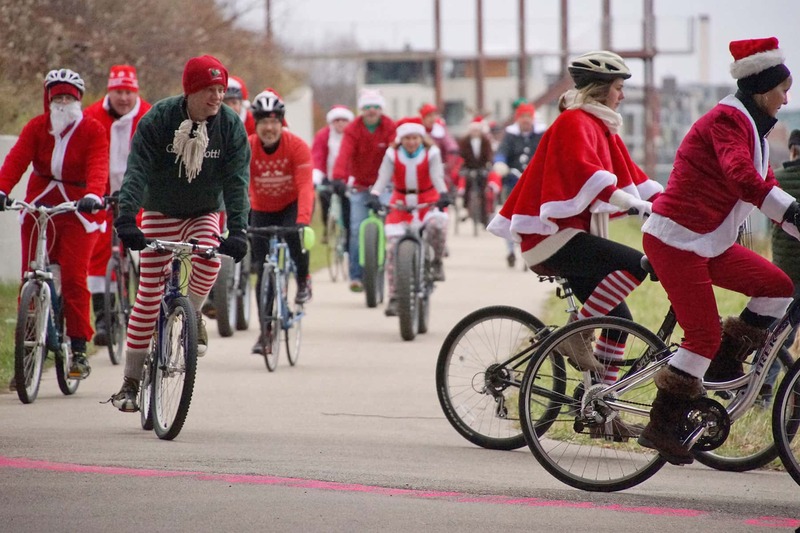 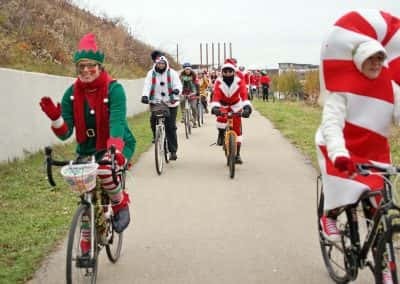 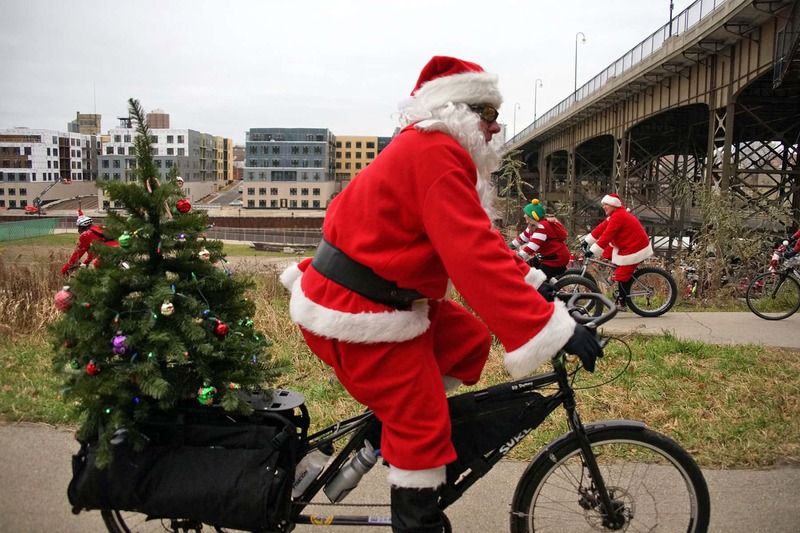 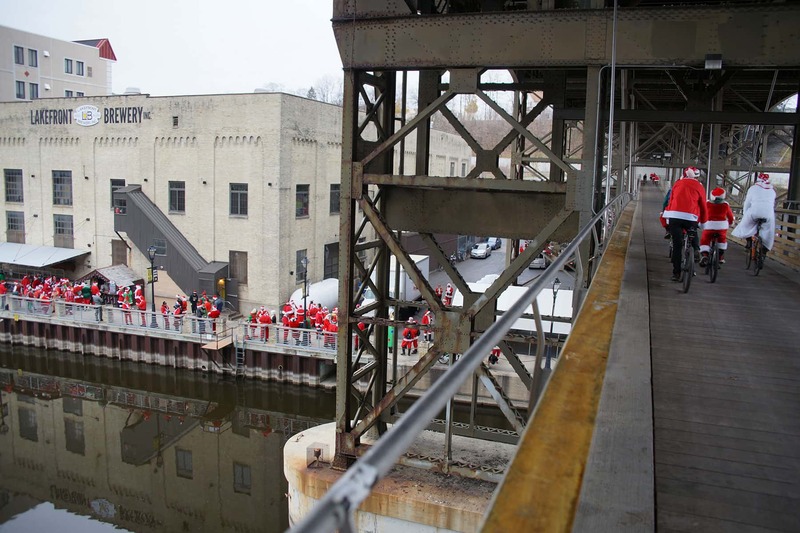 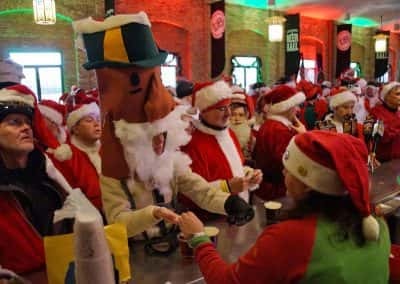 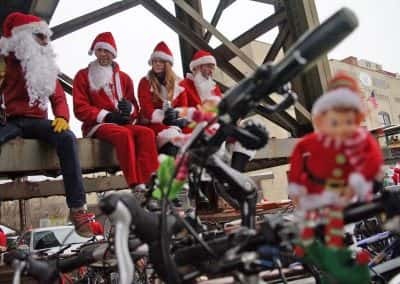 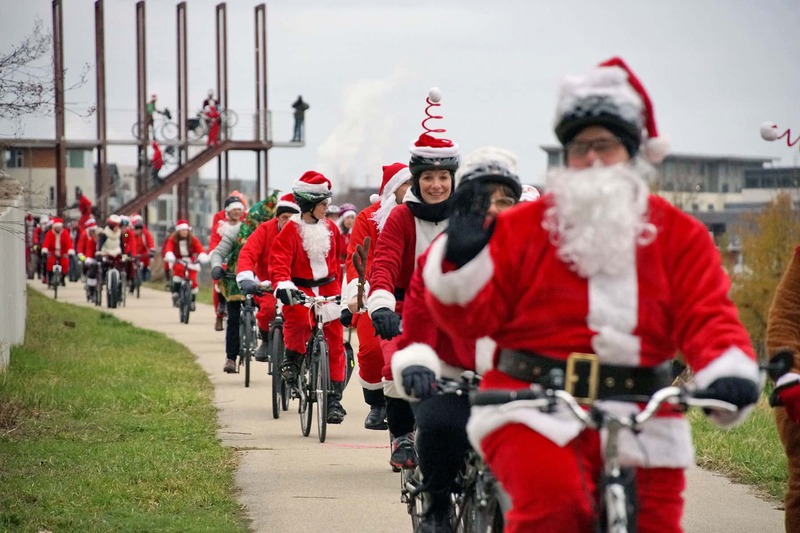 Hundreds of Santas rode bicycles across Milwaukee on December 3, participating in the annual Santa Cycle Rampage that has attracted visitors from as far away as Boston. 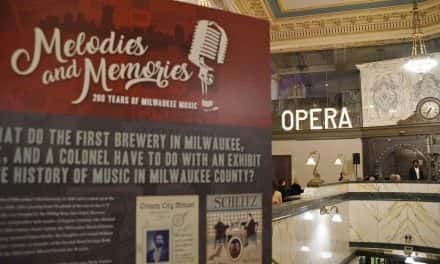 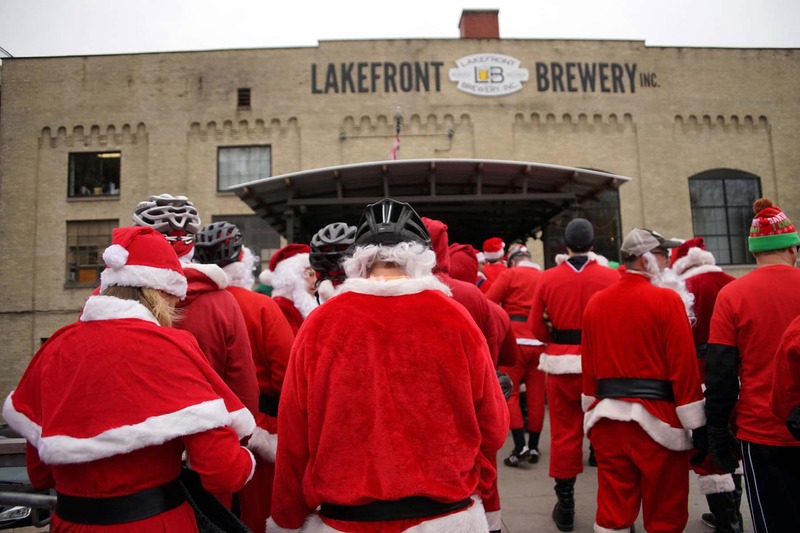 The route began at Cranky Al’s Bakery at 69th and North Avenue and finished at the Lakefront Brewery along the Milwaukee River. 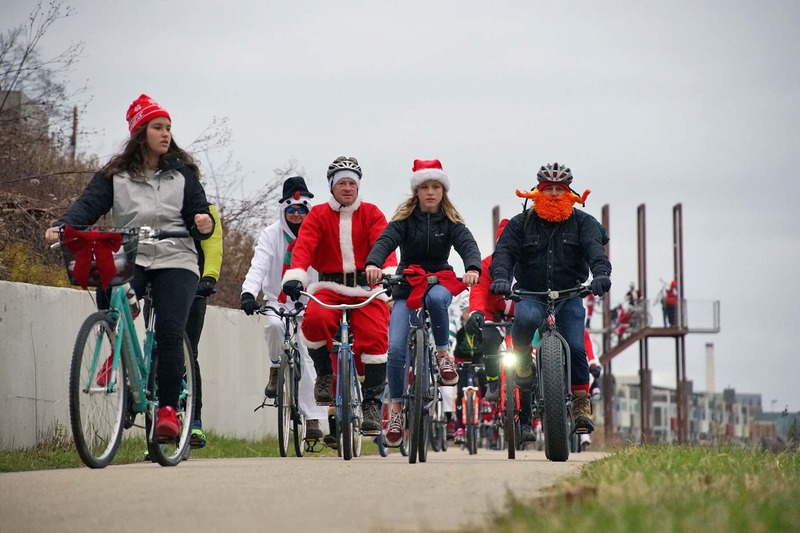 The slow, 5.5 mile group ride down North Avenue started 16 years ago and has continued to grow in interest and participation. 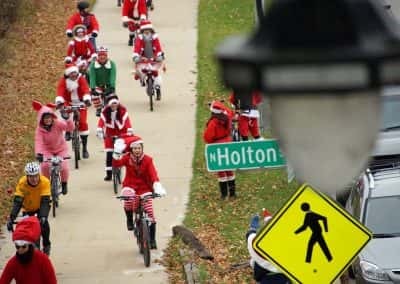 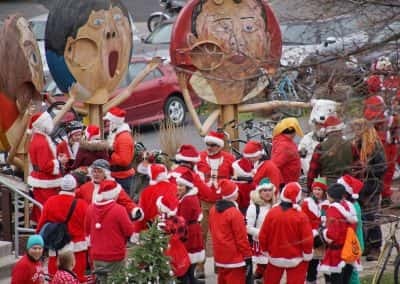 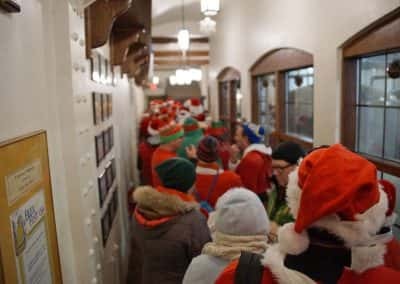 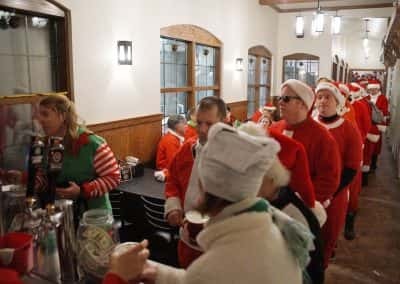 The tradition of people riding around Milwaukee dressed in Santa suits has spread holiday cheer through neighborhoods and communities along the route. 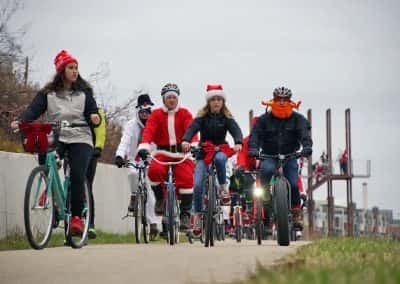 The idea originated to get riders out on bikes in the winter, as a way to help local businesses. 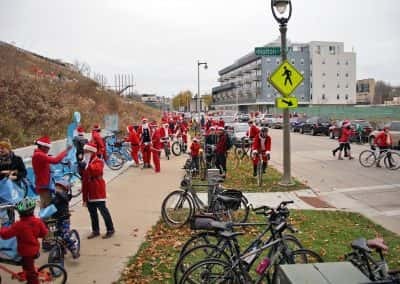 Wisconsin Bike Fed produced the event again this year, fulfilling their mission of supporting bicycling in Wisconsin. 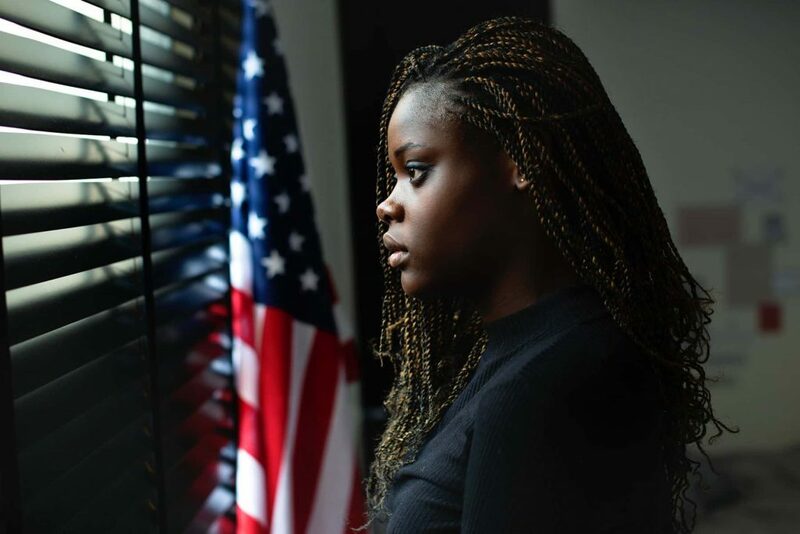 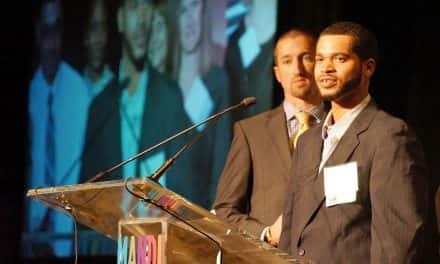 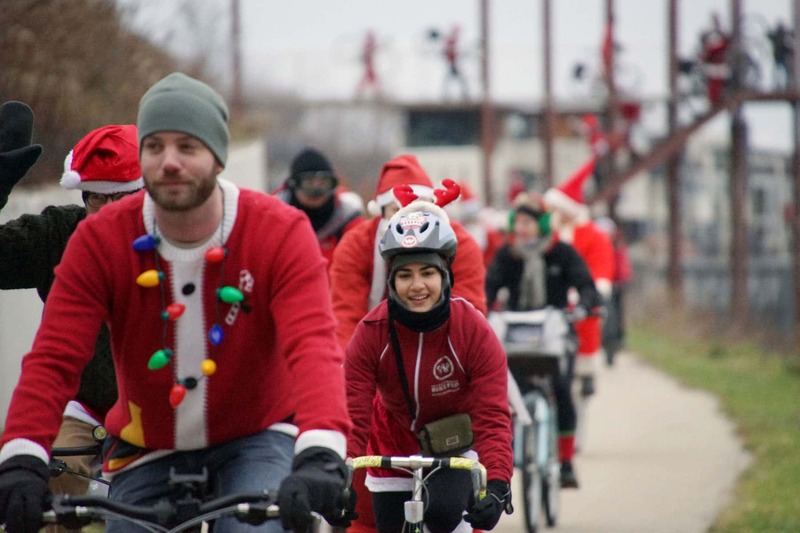 The organization believes that by making our state a better place to ride a bike, it becomes a better place to live, visit, work, and run a business. 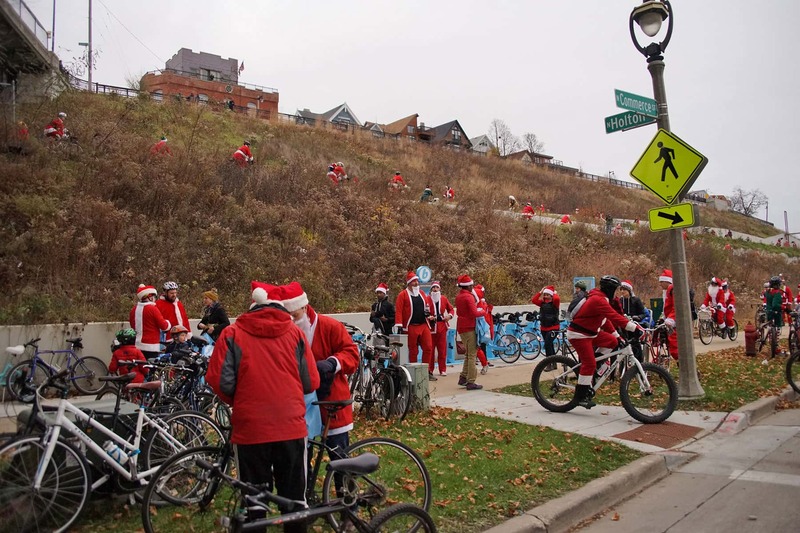 Gathering spots before and after the event were designed for fun and to boost the local economy. 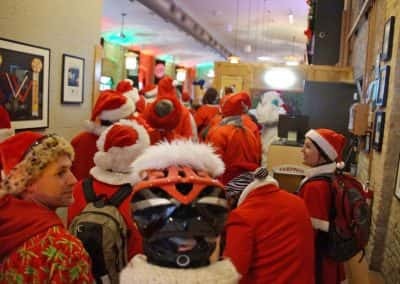 Post ride parties saw large groups at the designated gathering locations. 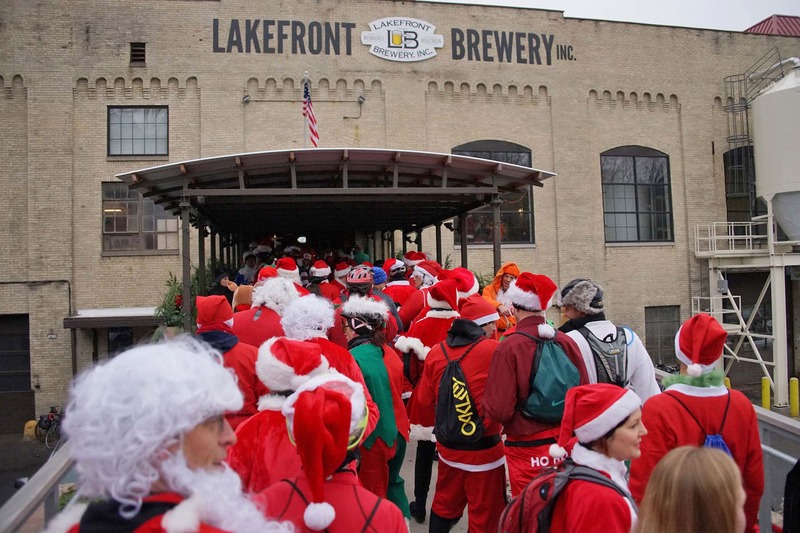 The finish line at Lakefront Brewery, for example, saw its beer hall filled to capacity. 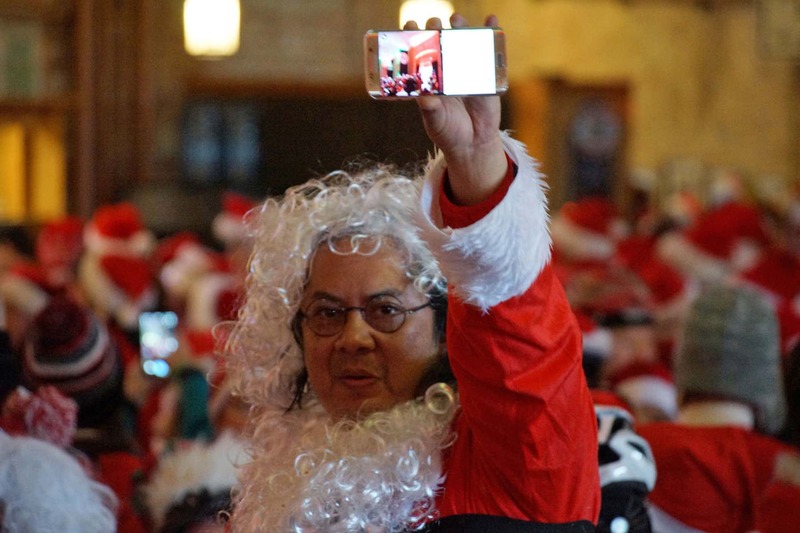 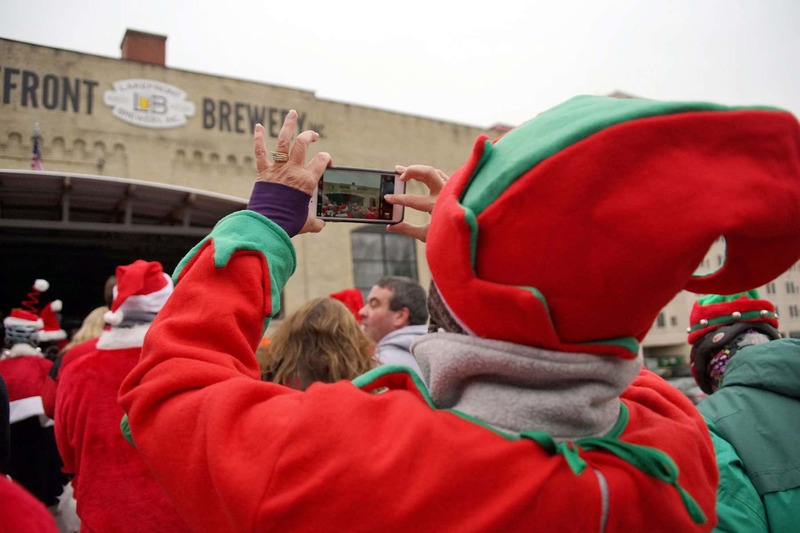 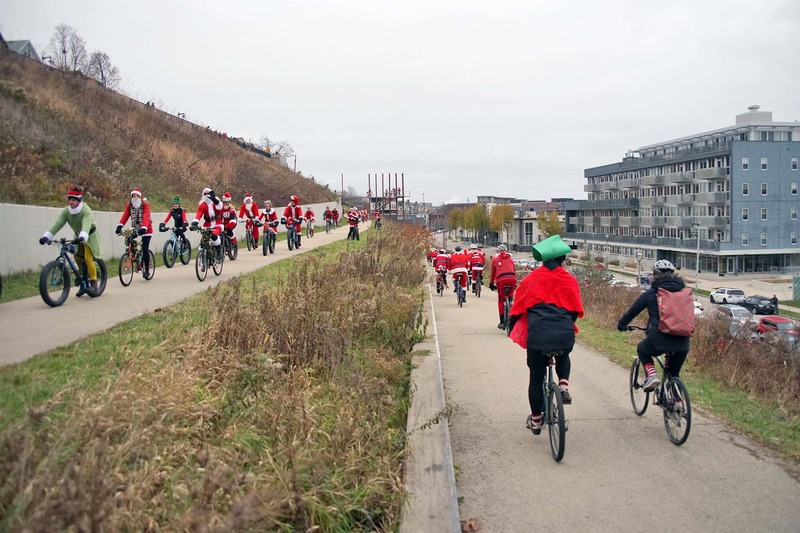 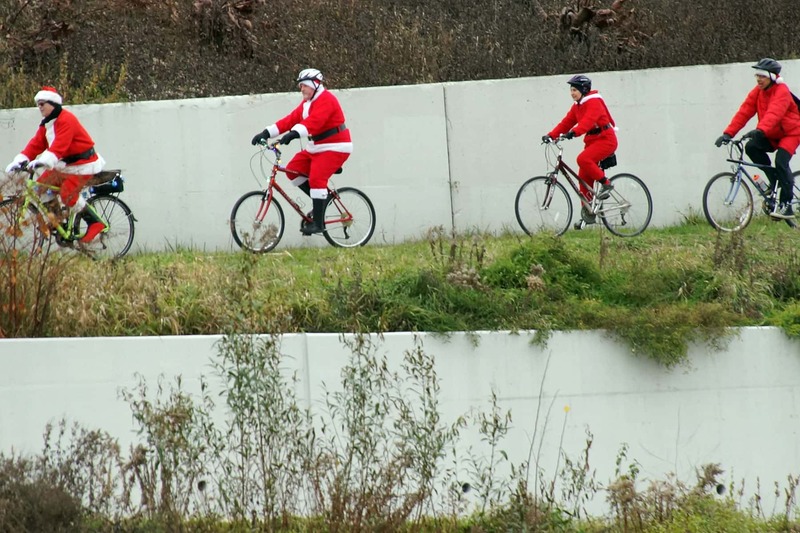 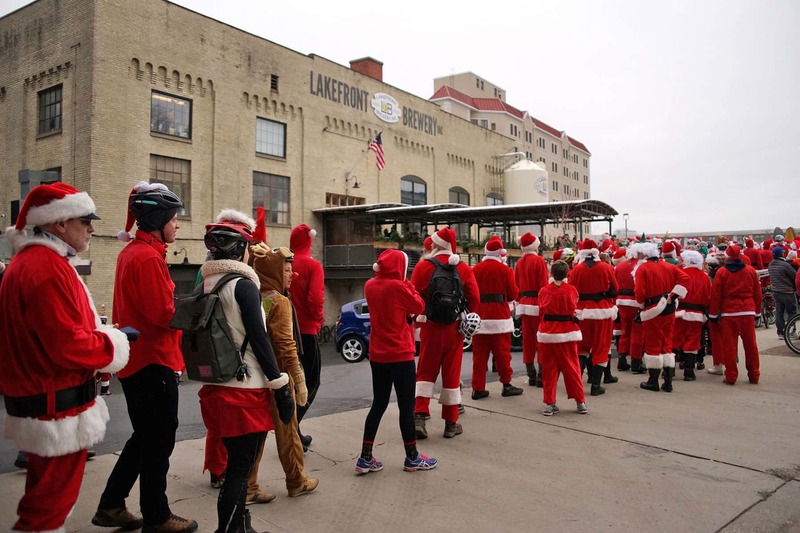 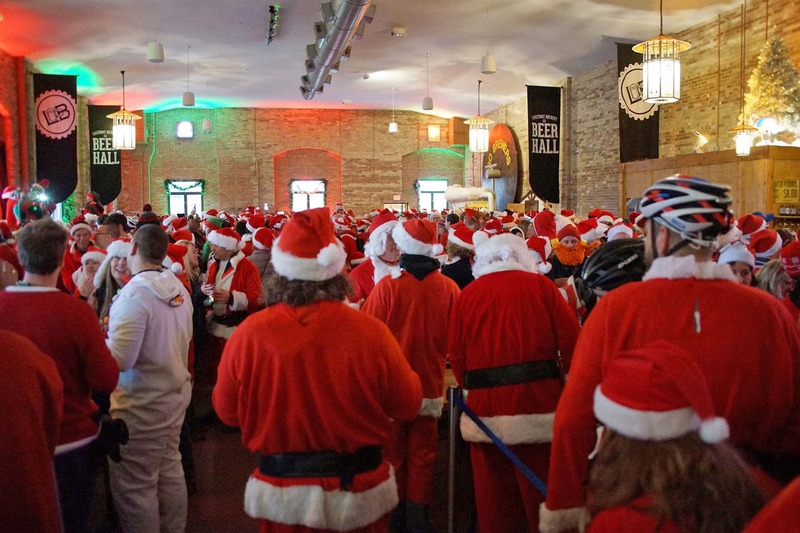 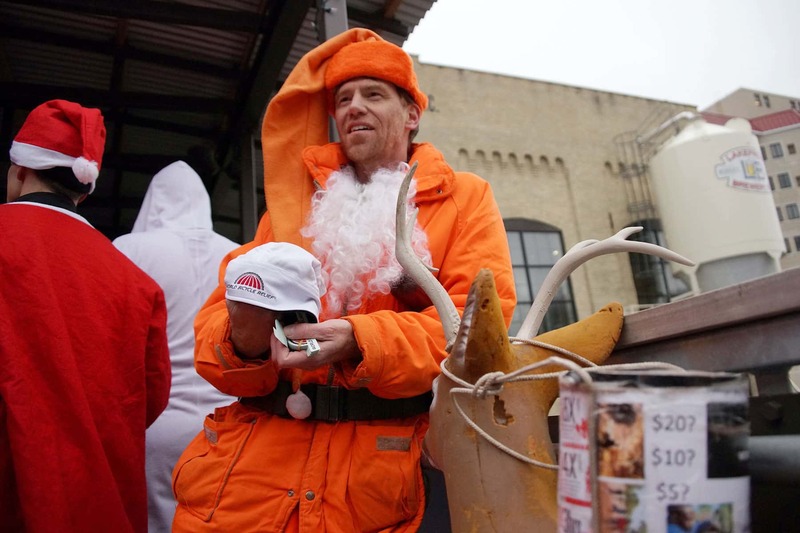 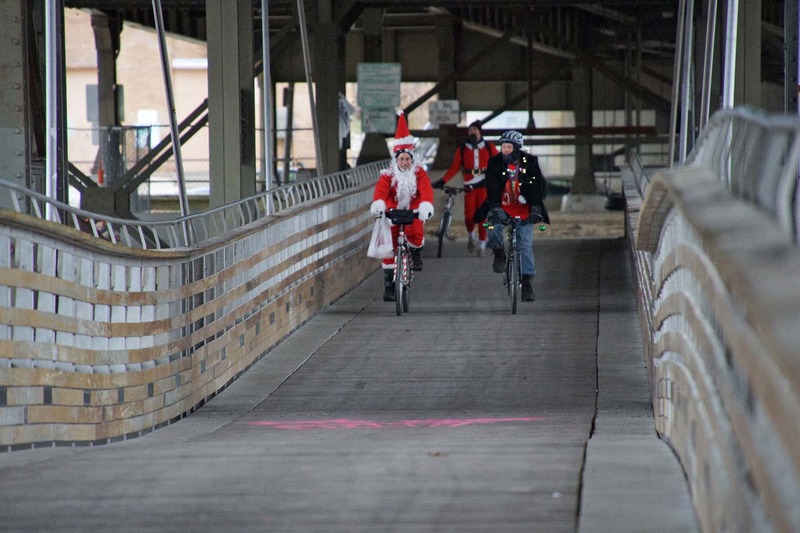 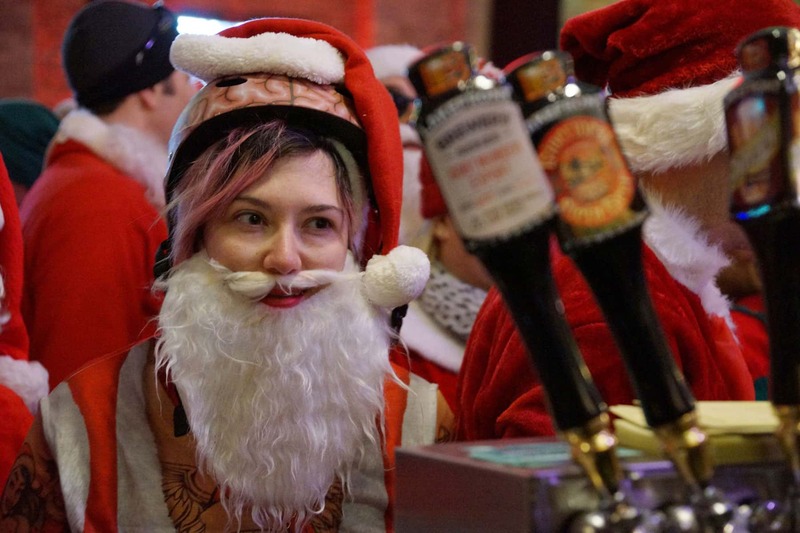 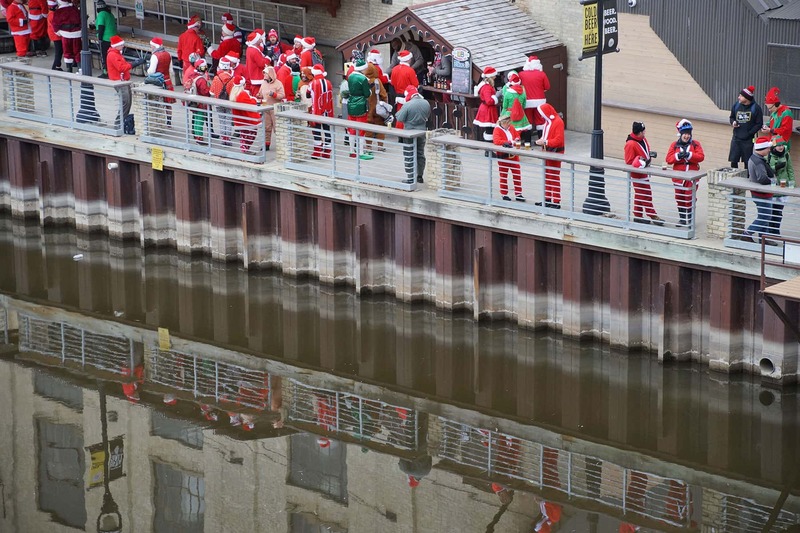 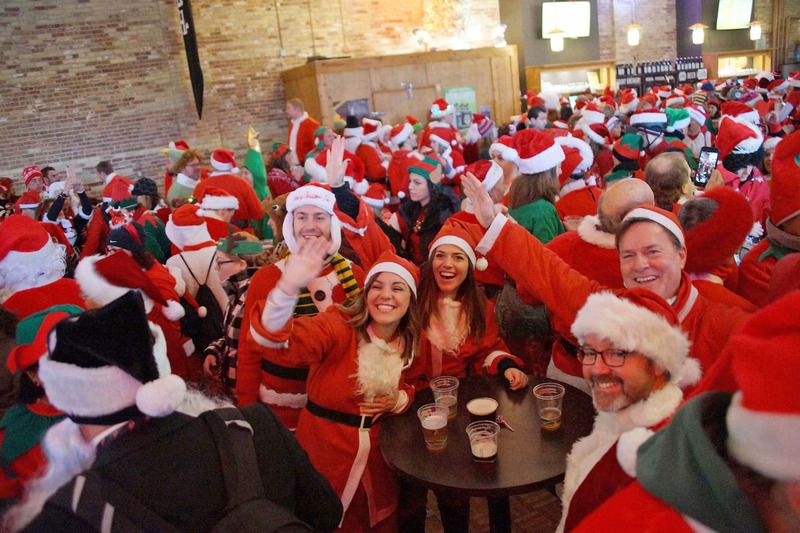 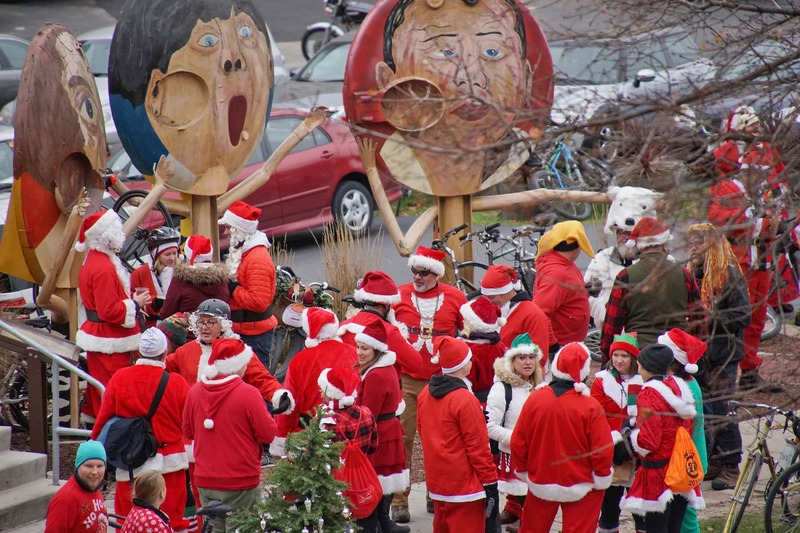 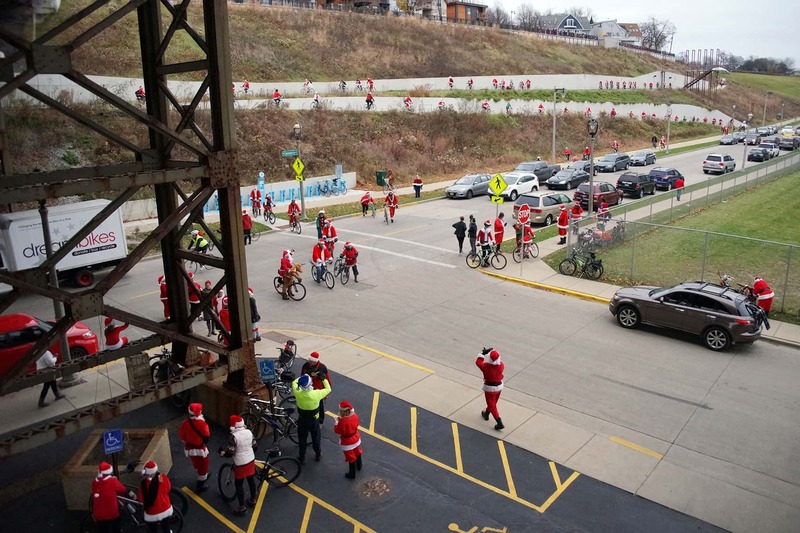 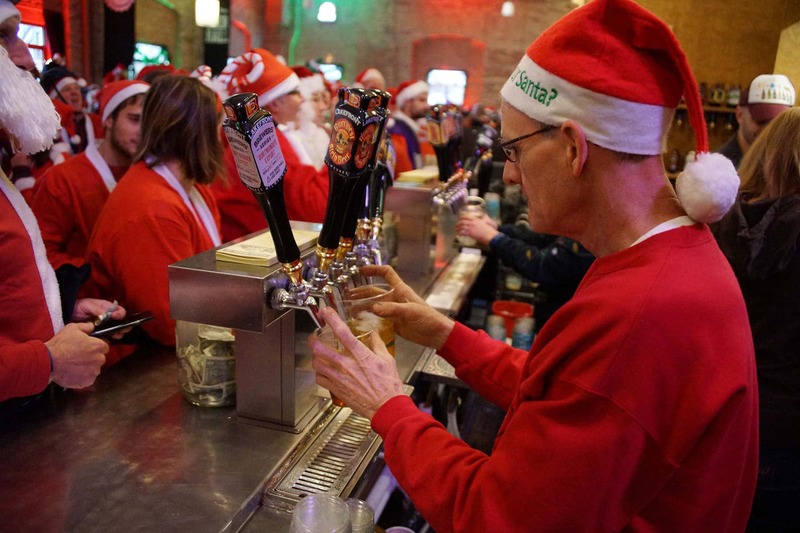 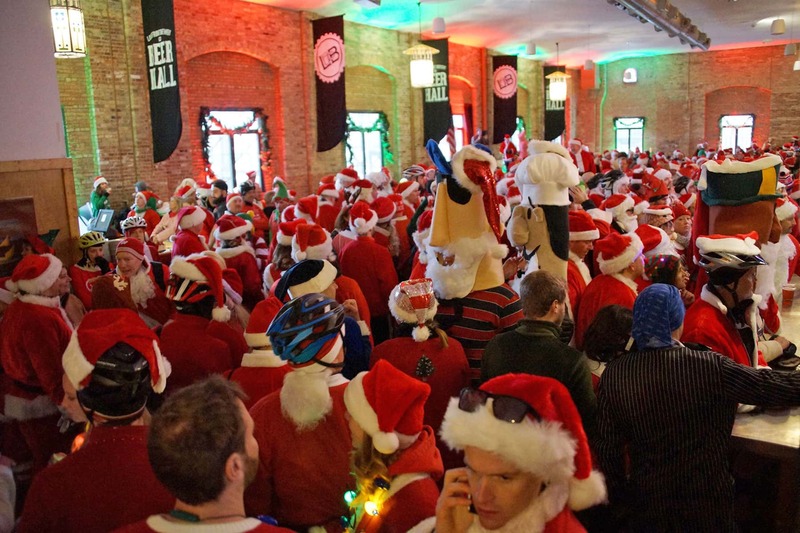 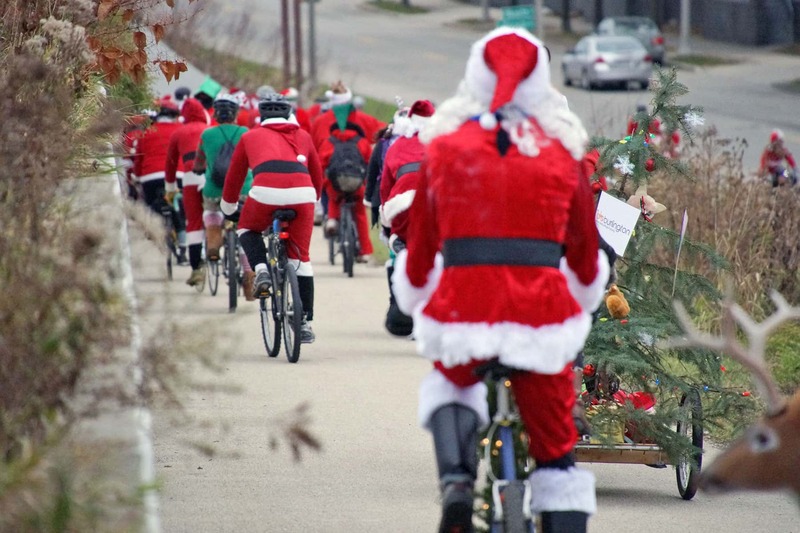 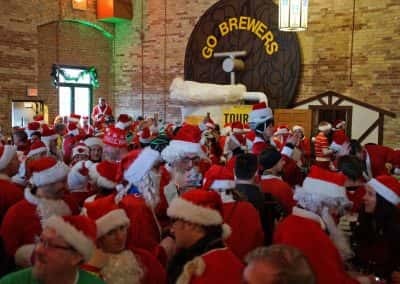 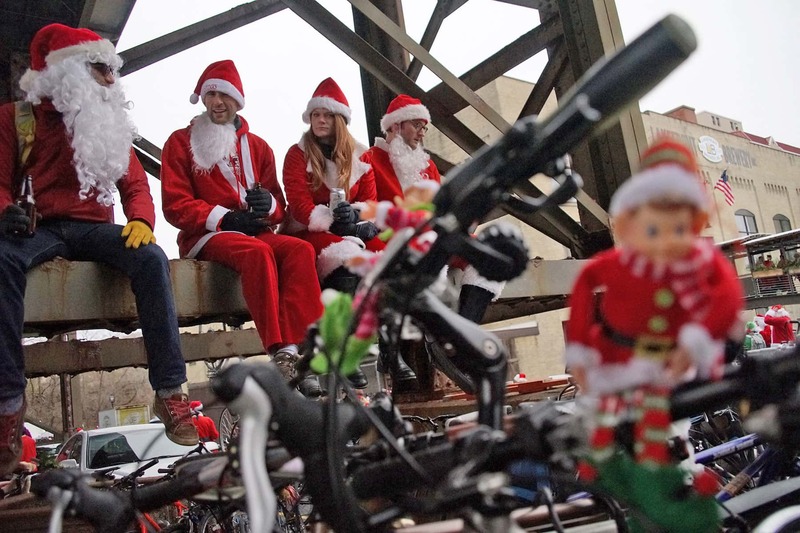 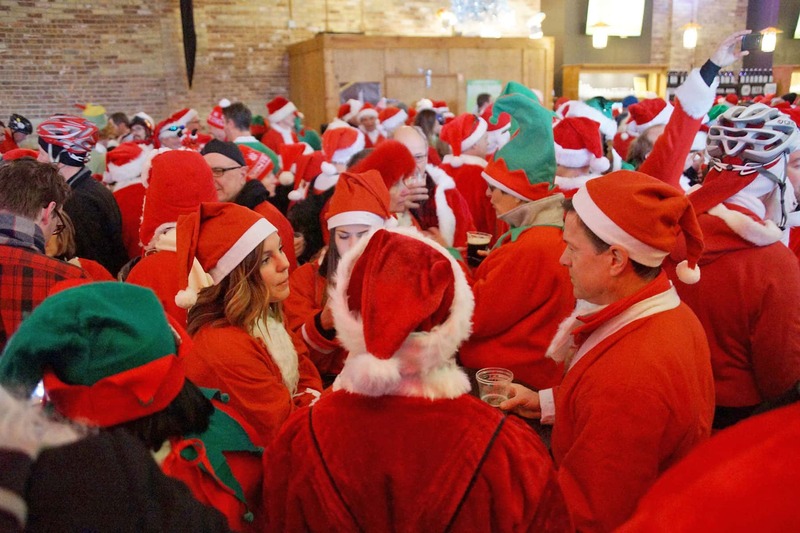 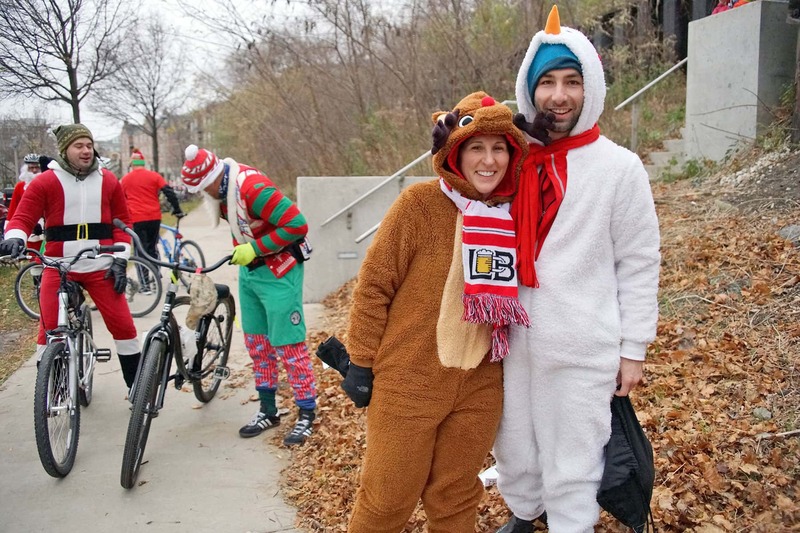 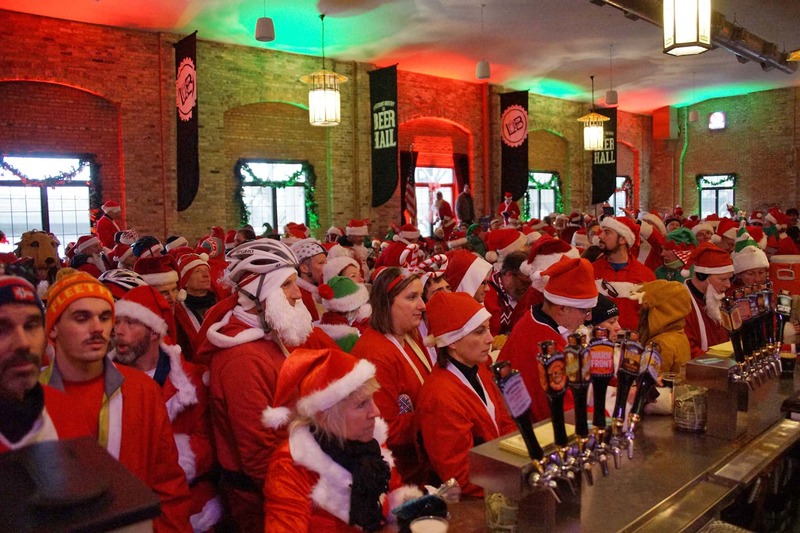 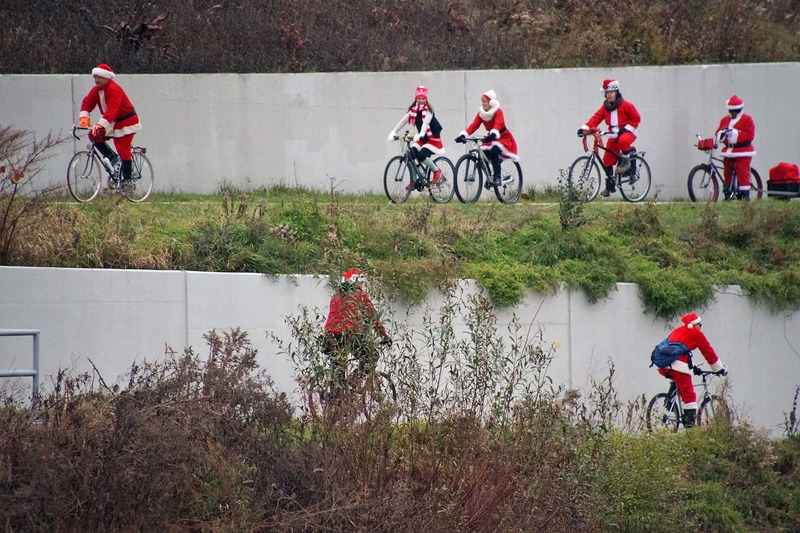 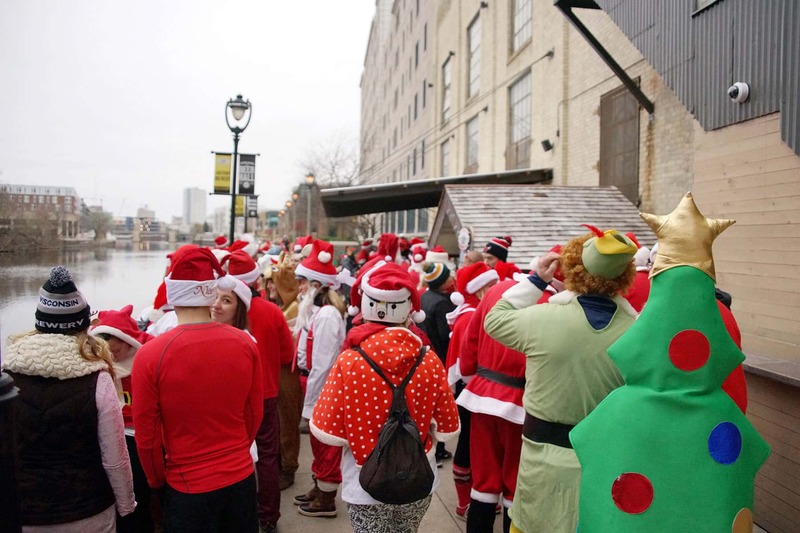 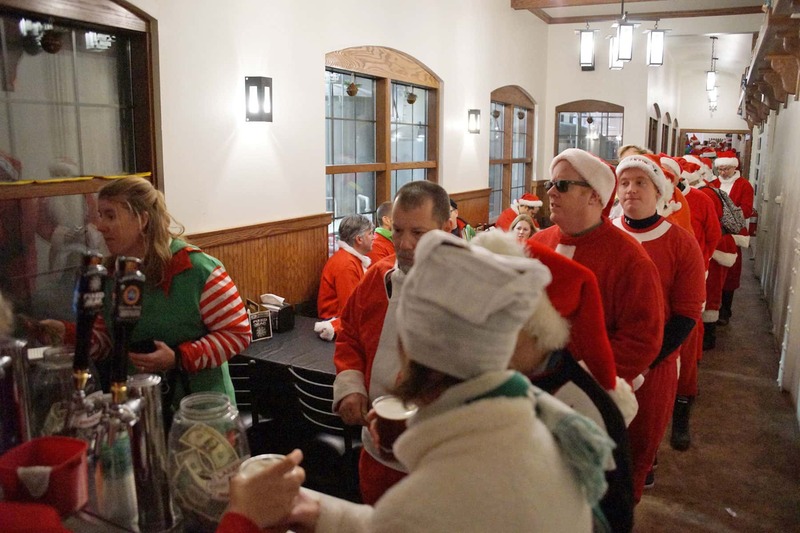 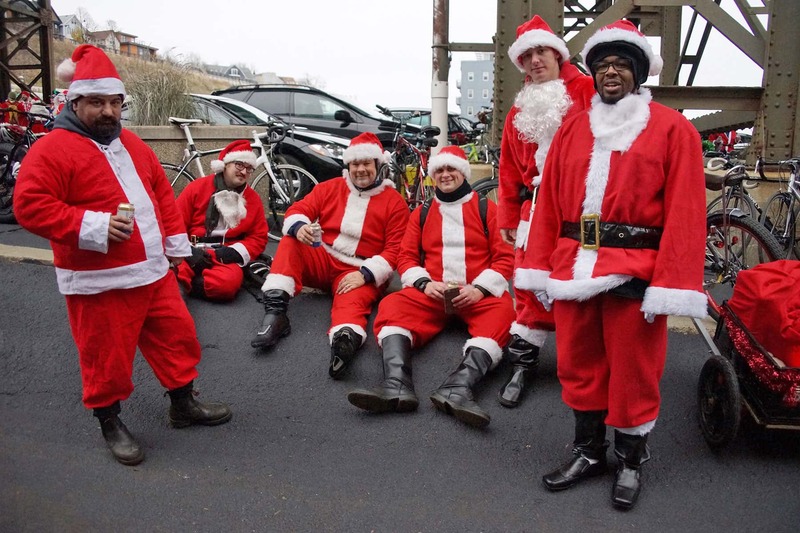 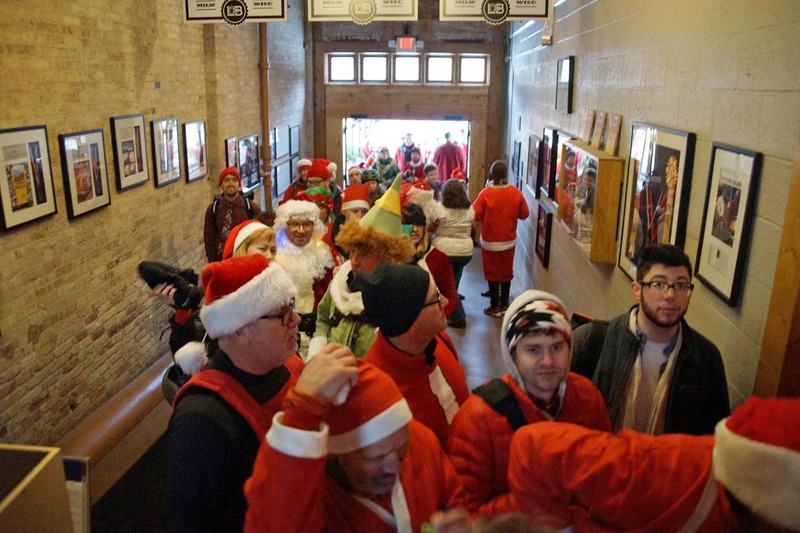 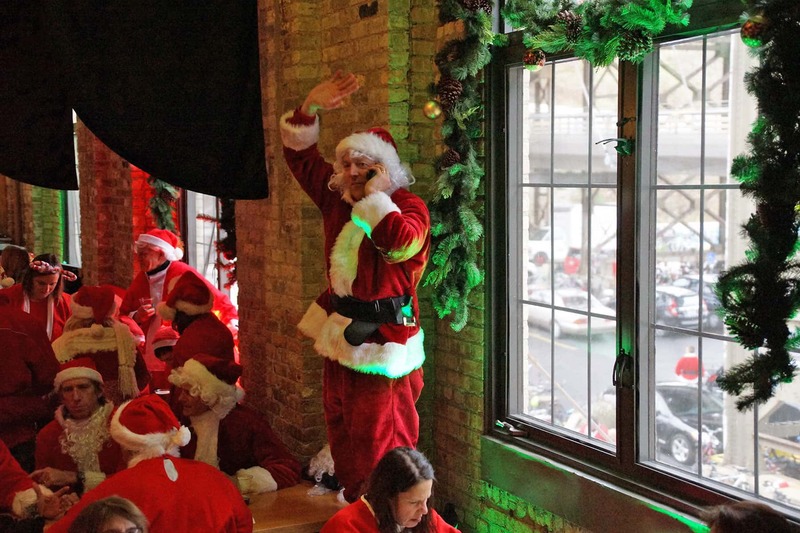 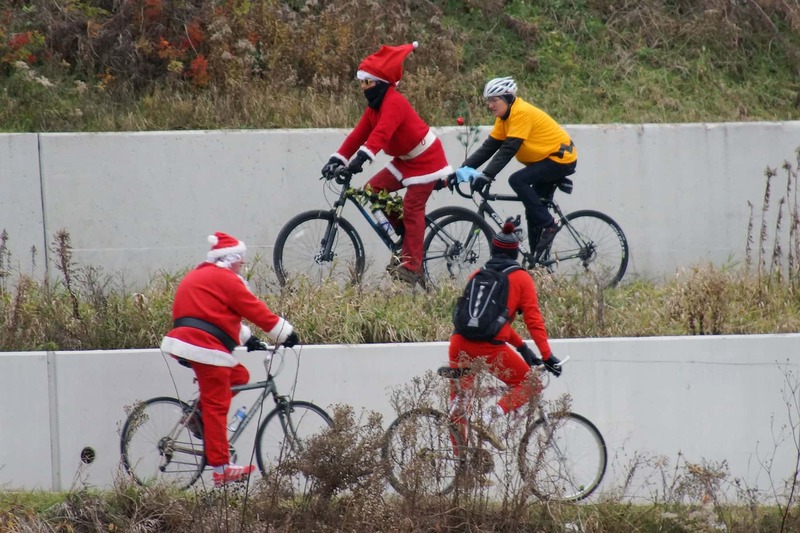 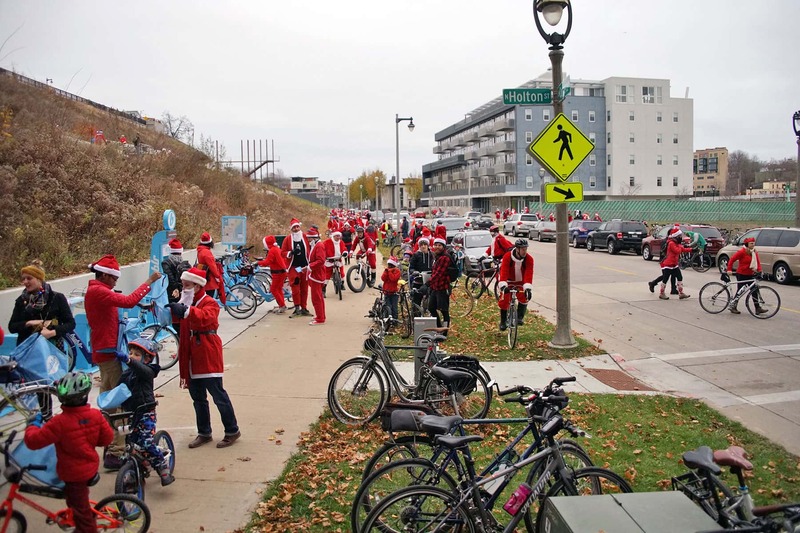 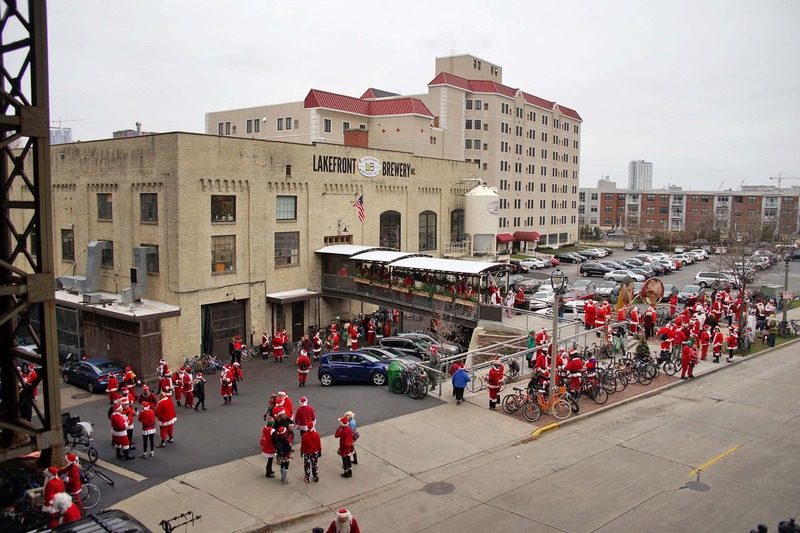 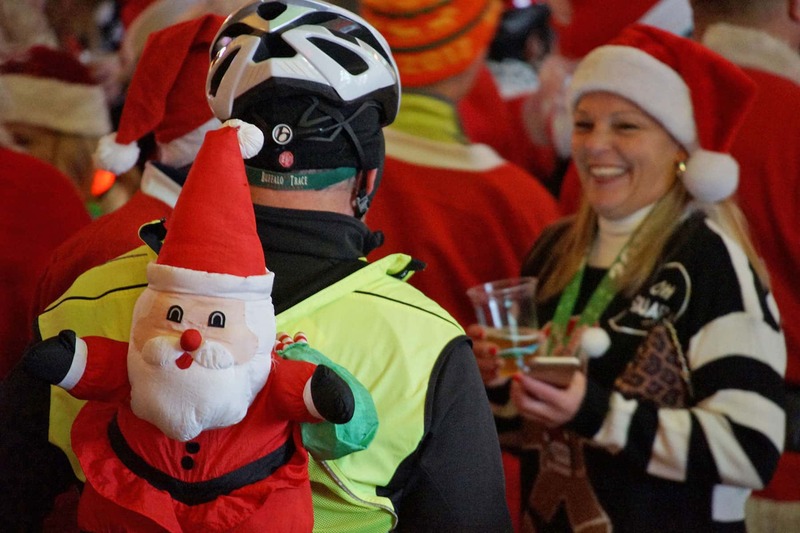 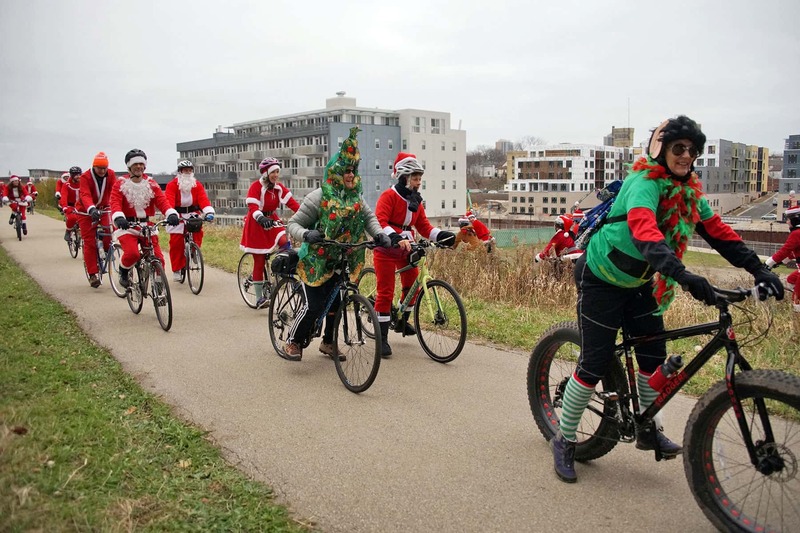 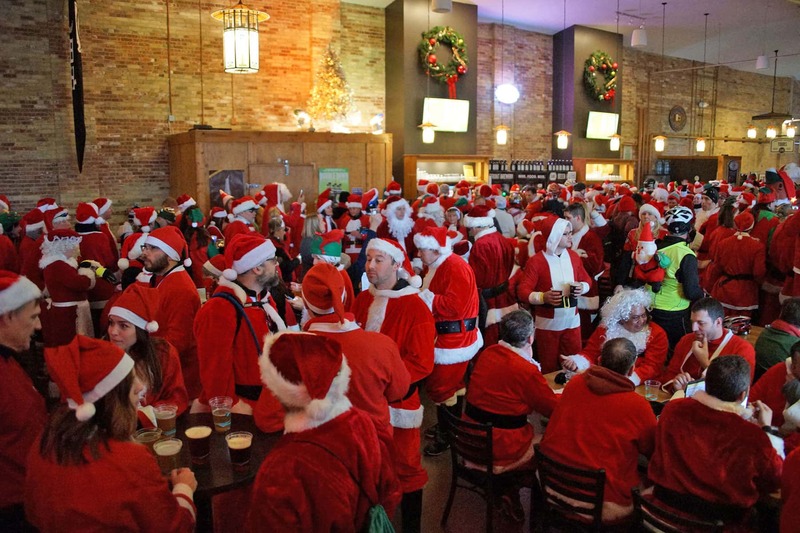 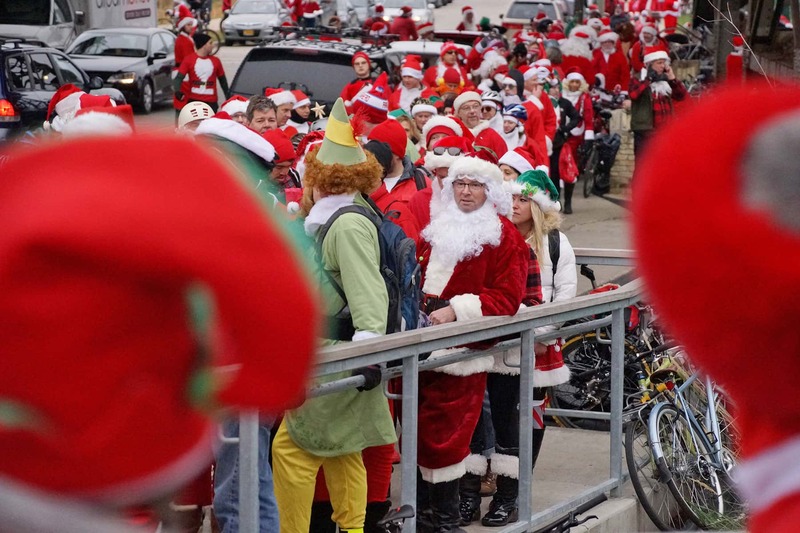 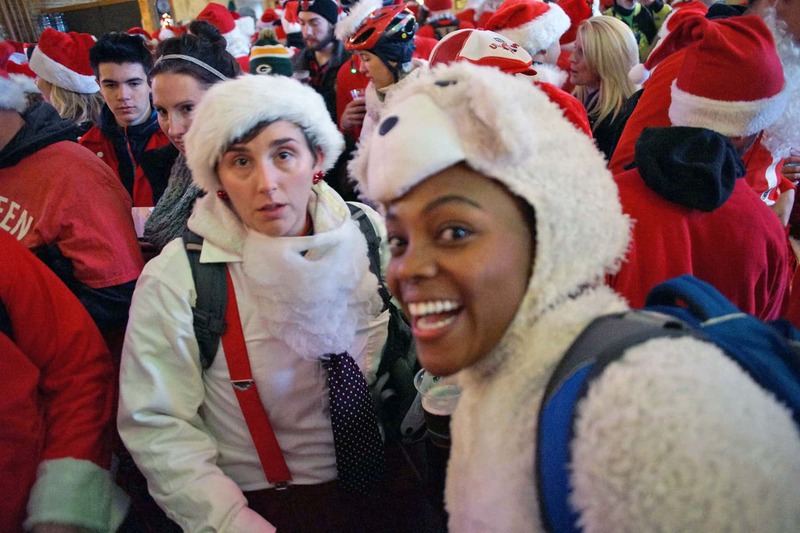 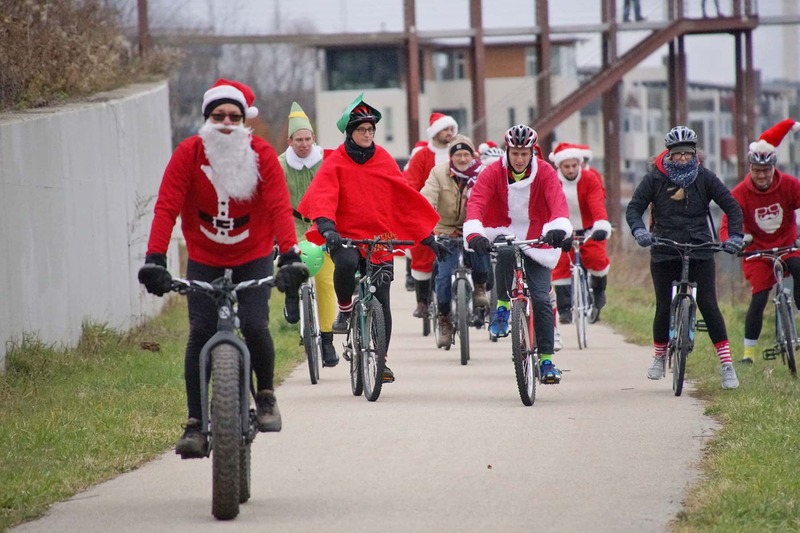 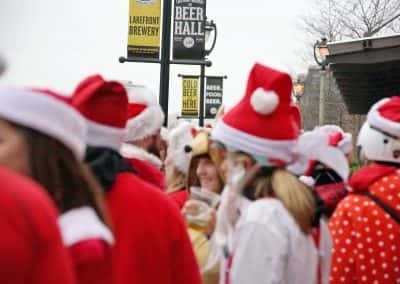 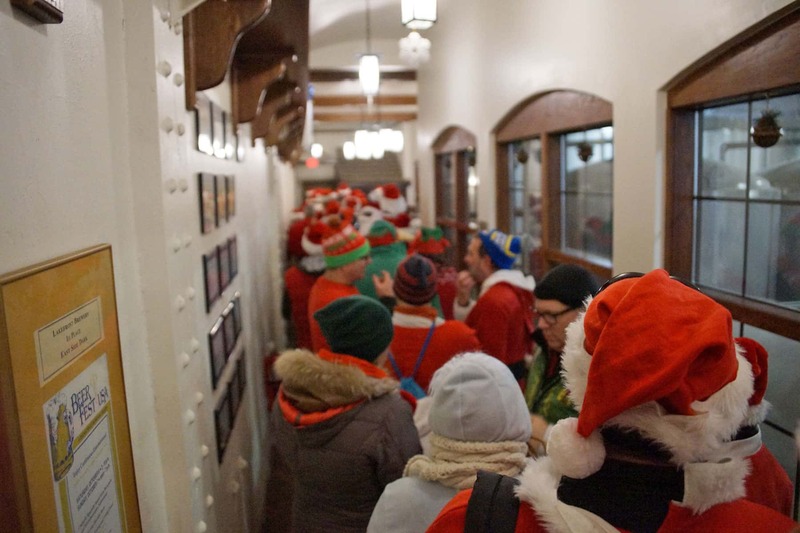 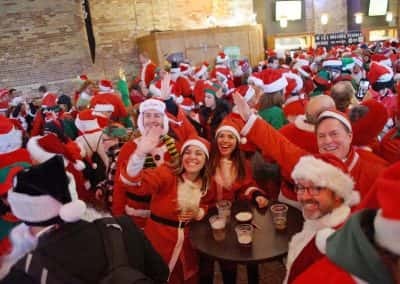 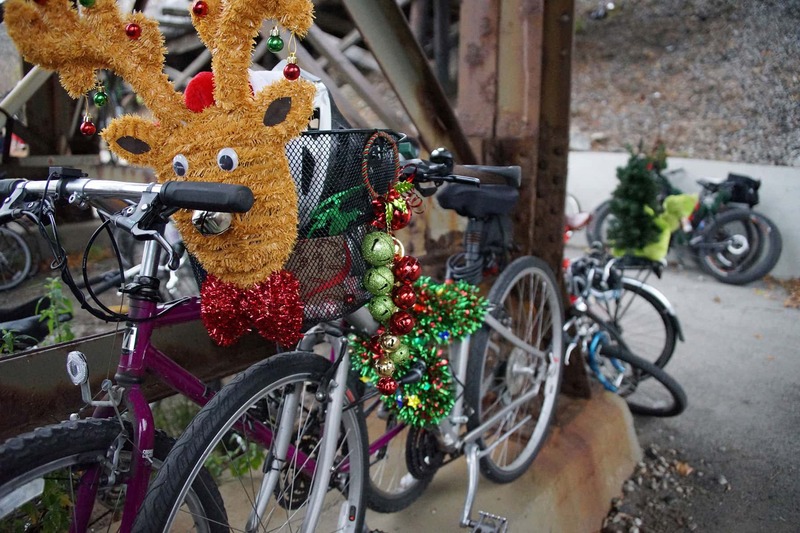 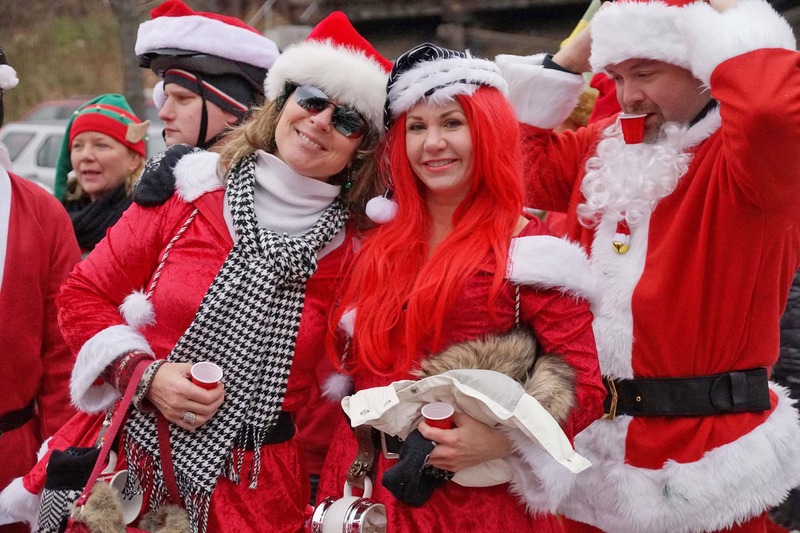 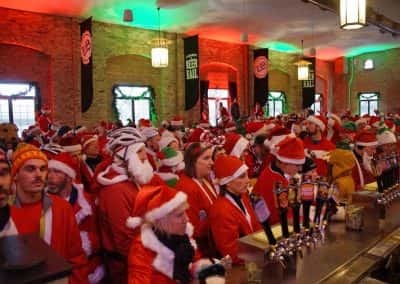 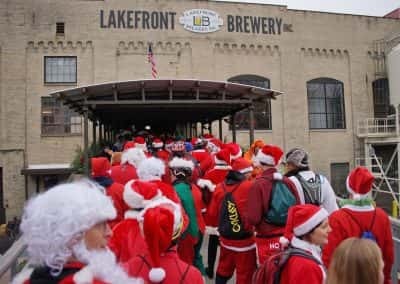 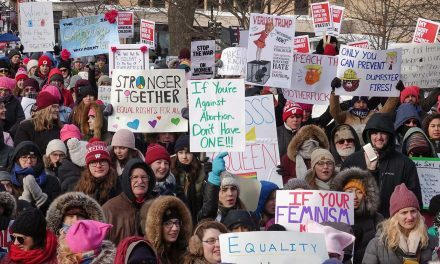 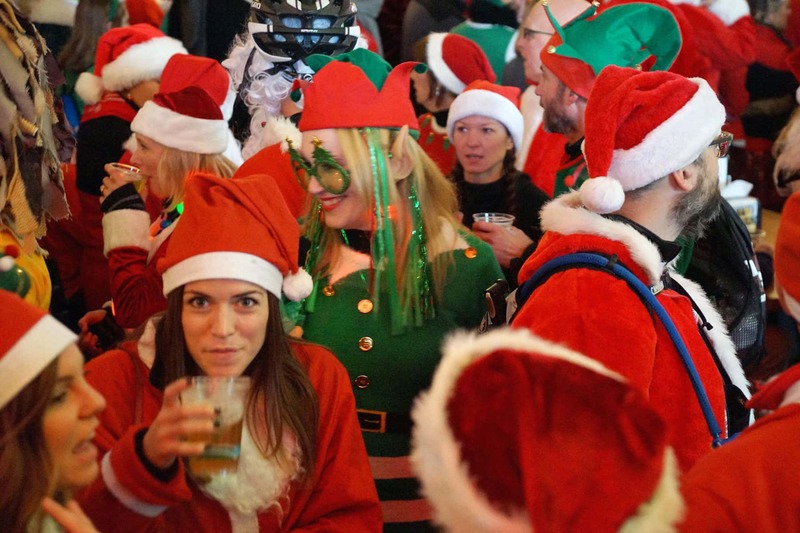 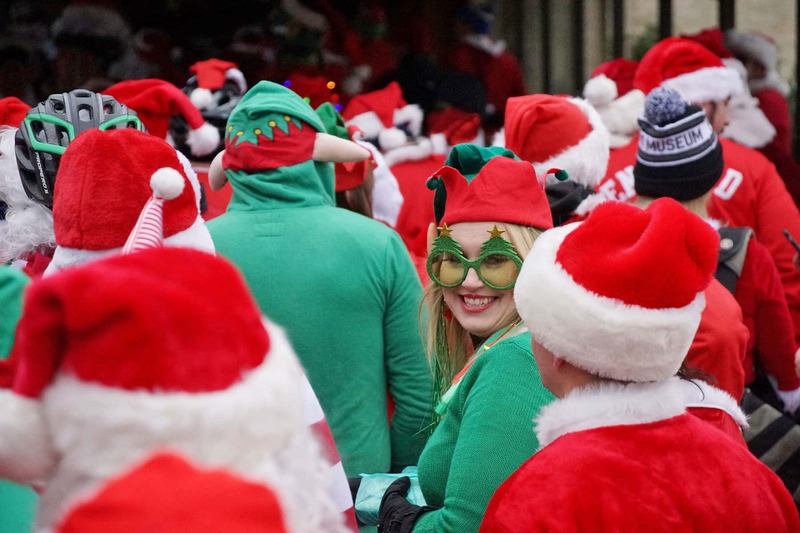 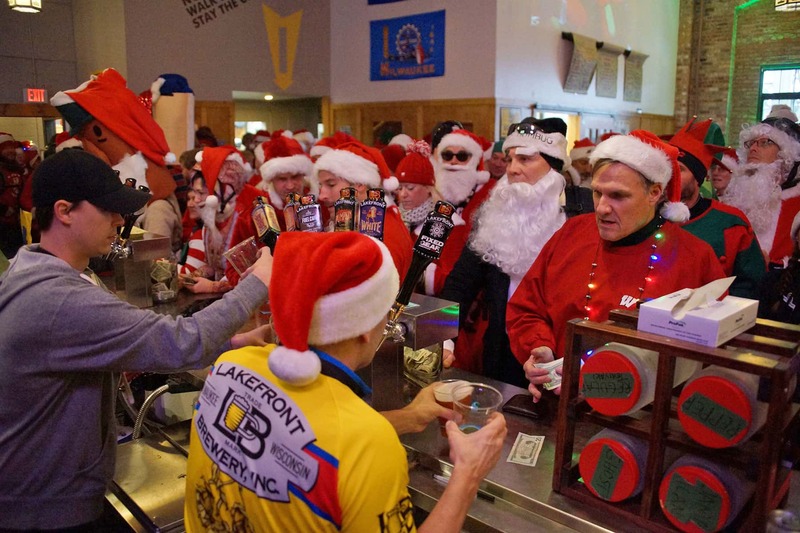 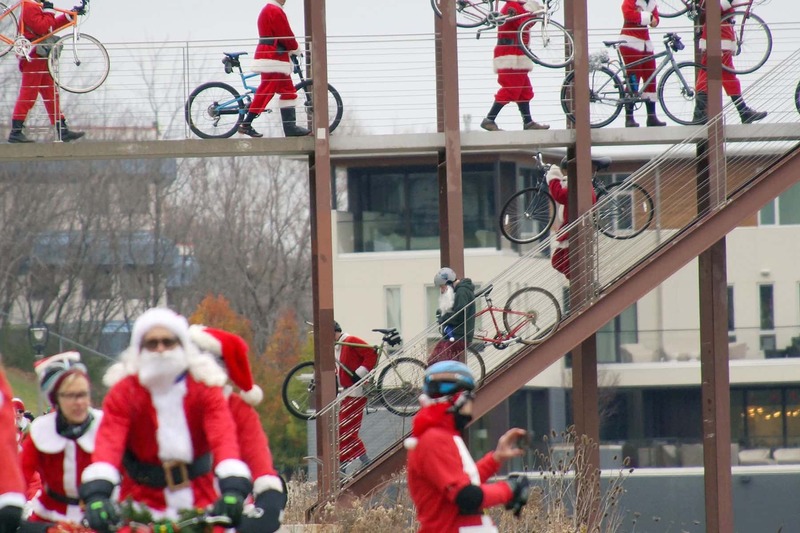 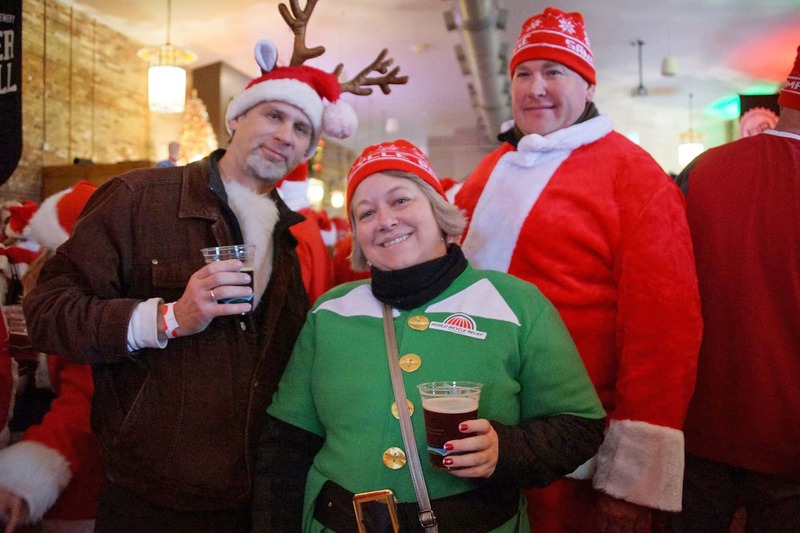 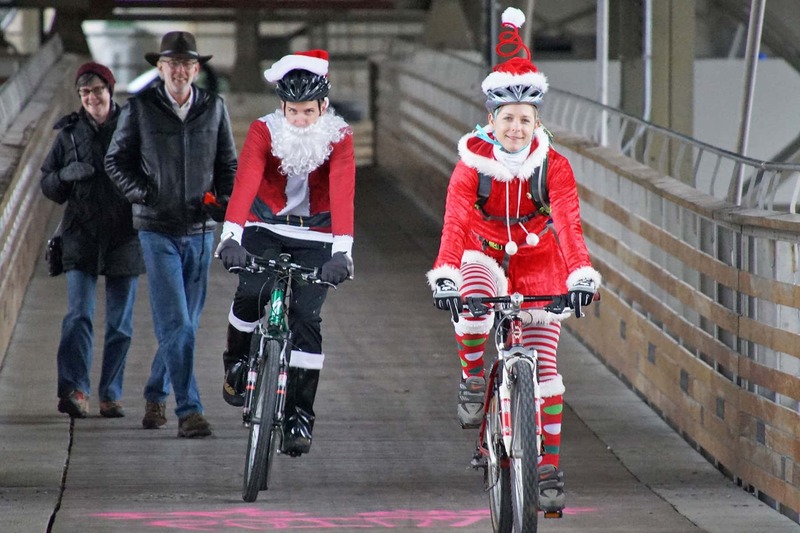 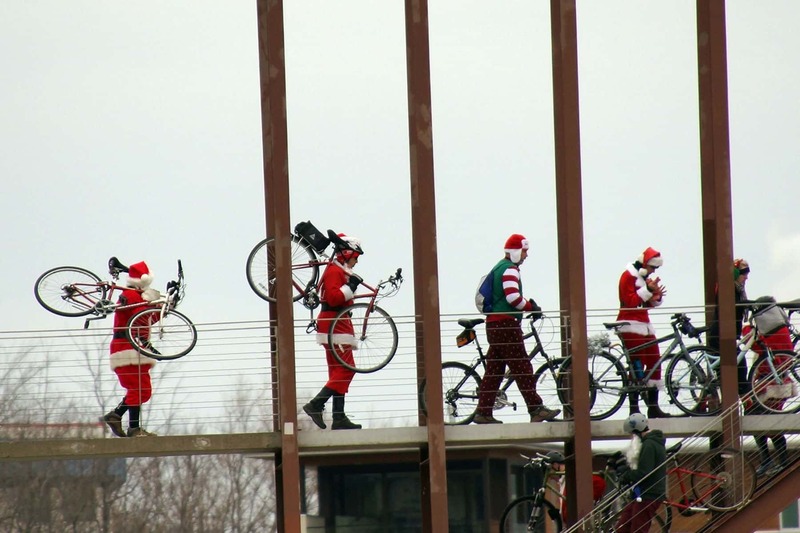 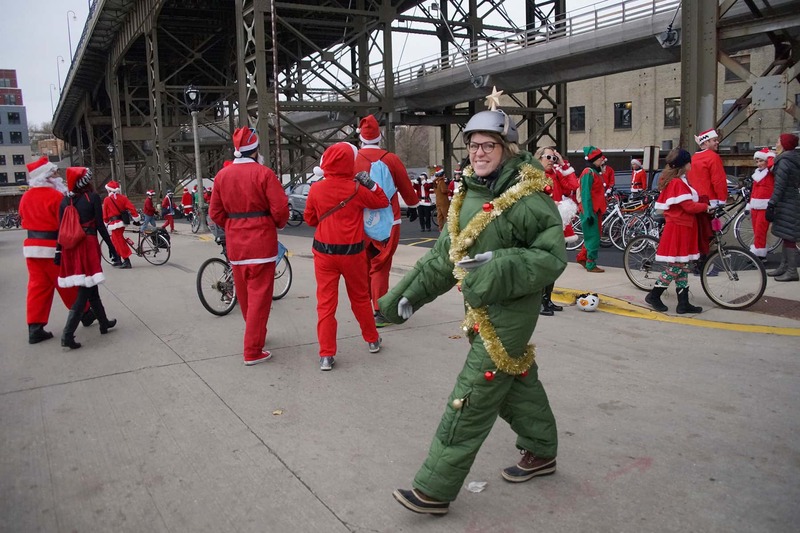 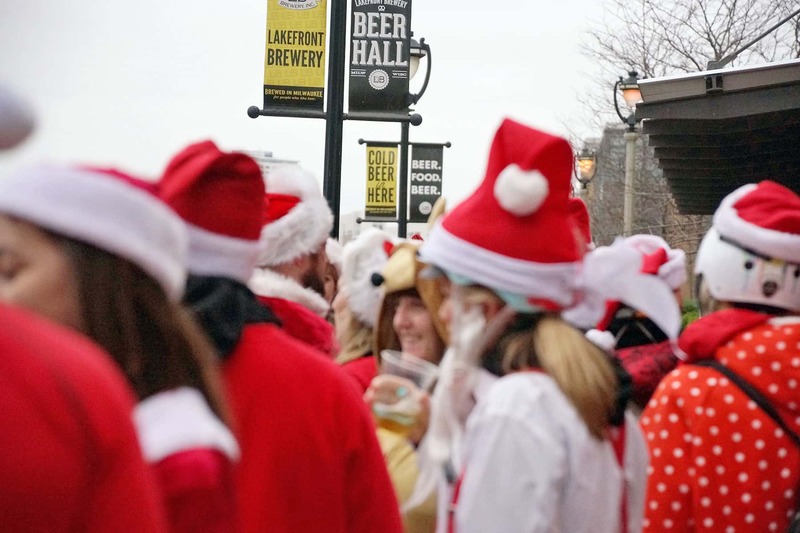 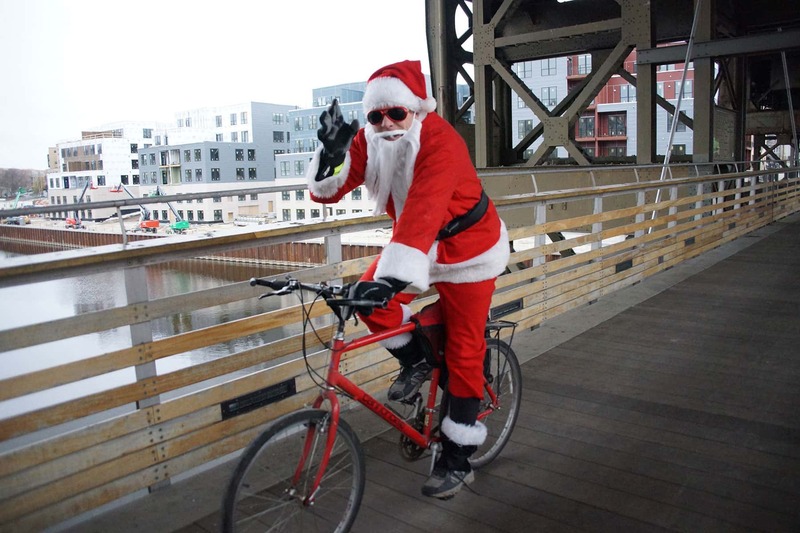 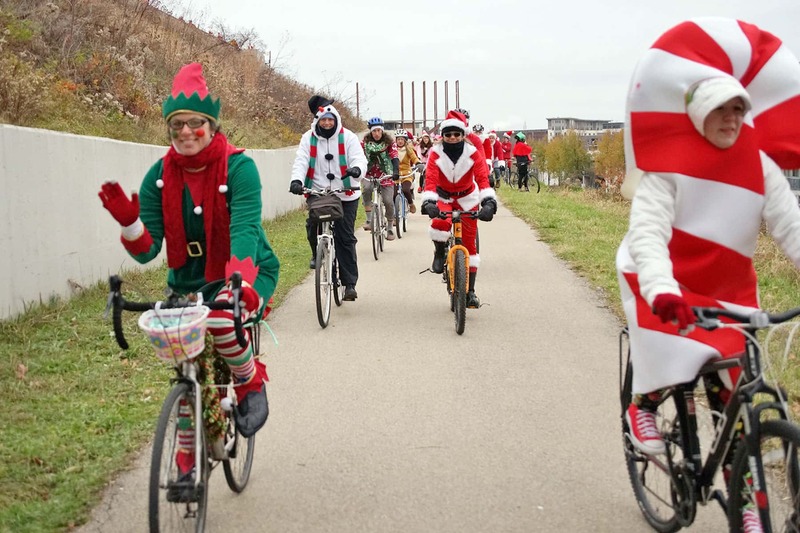 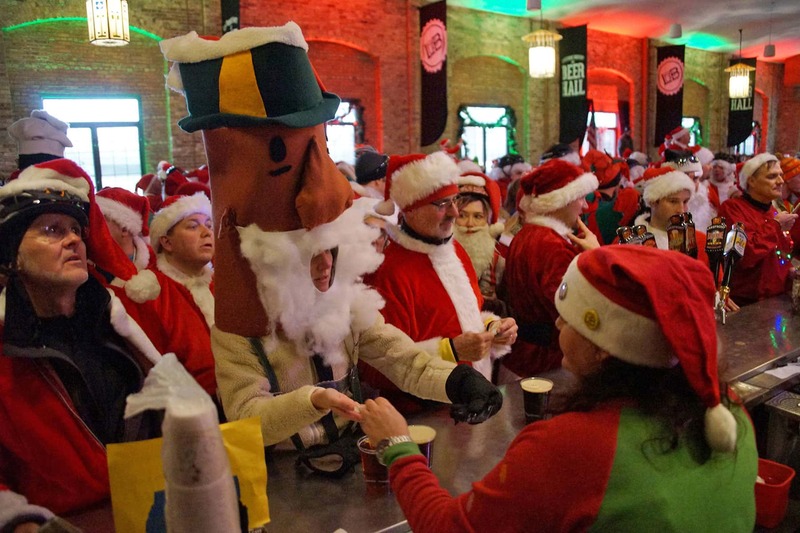 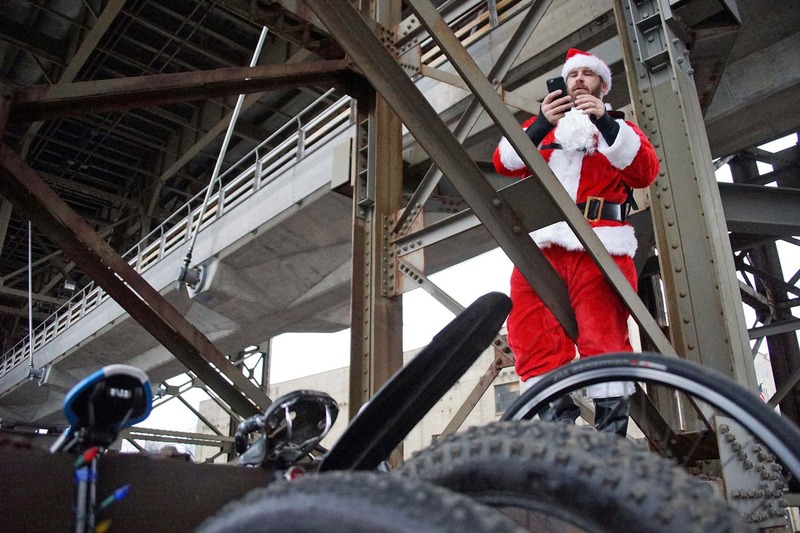 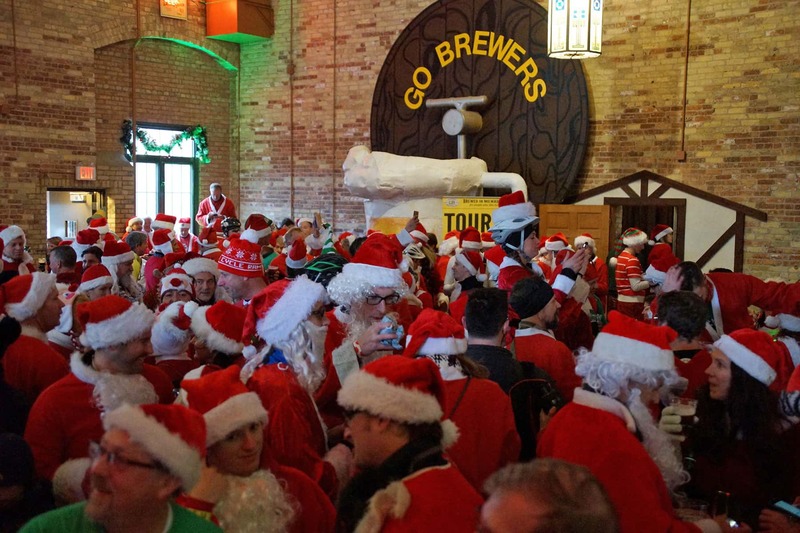 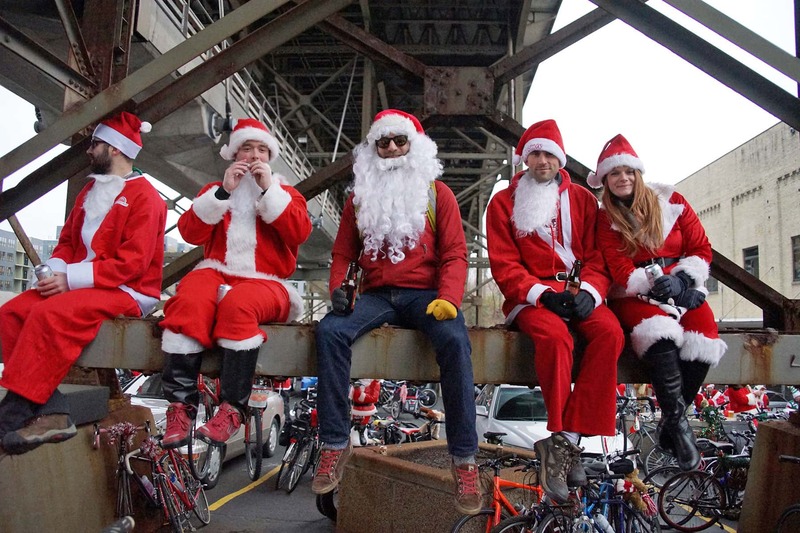 These images from the 2016 event show how seriously Milwaukee residents take their biking, Santas, and beer.